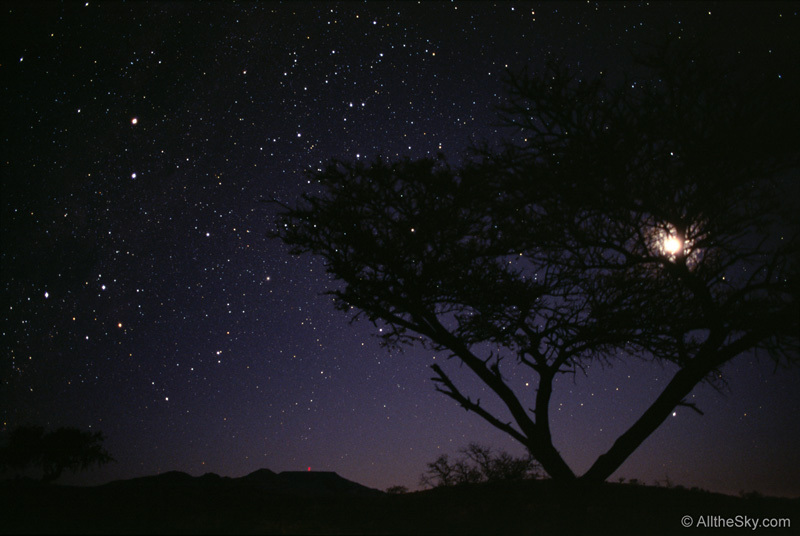 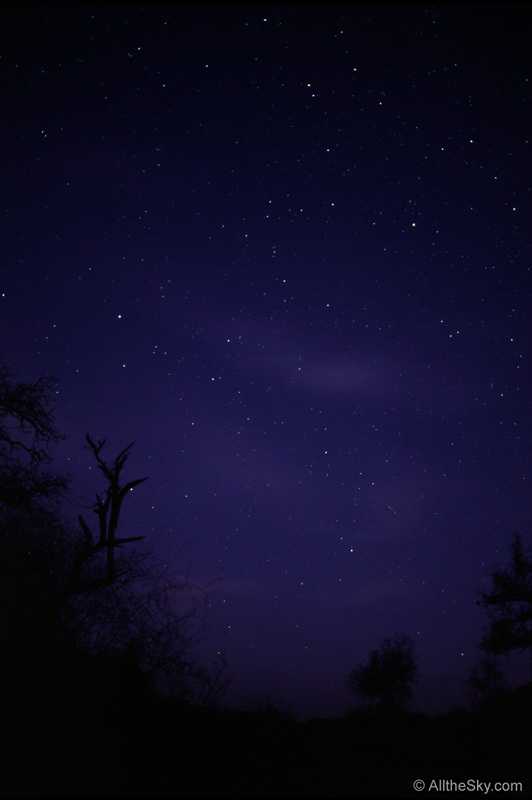 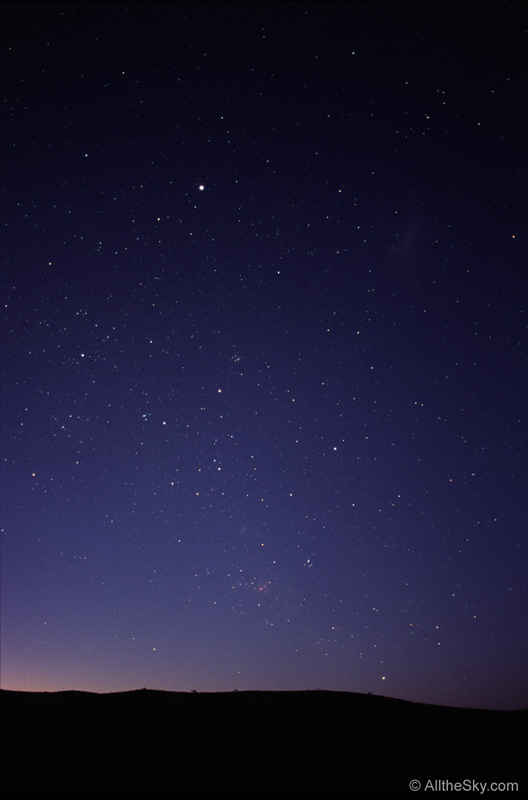 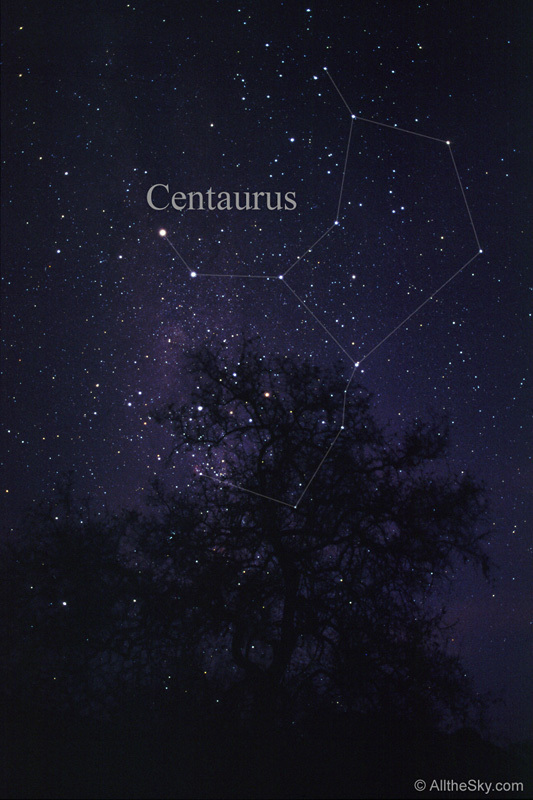 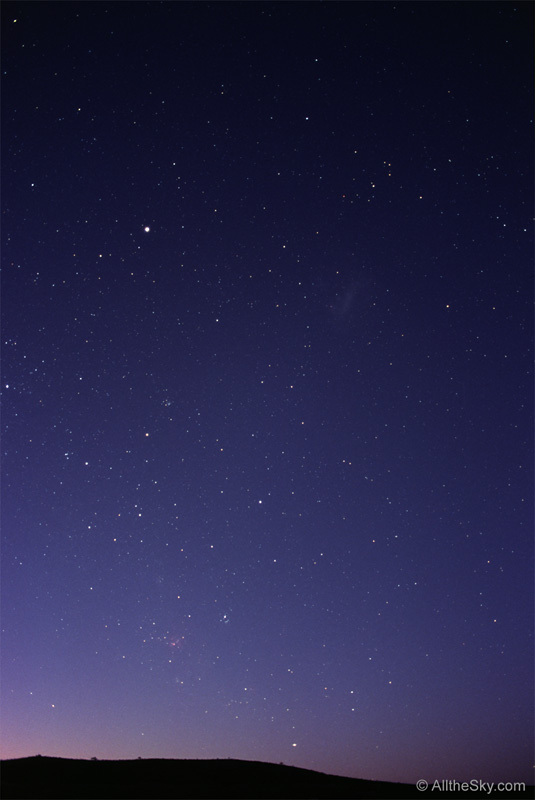 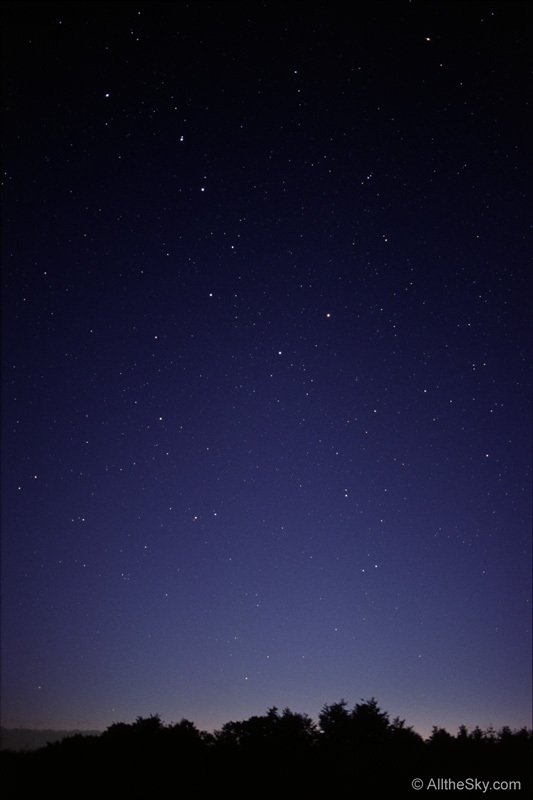 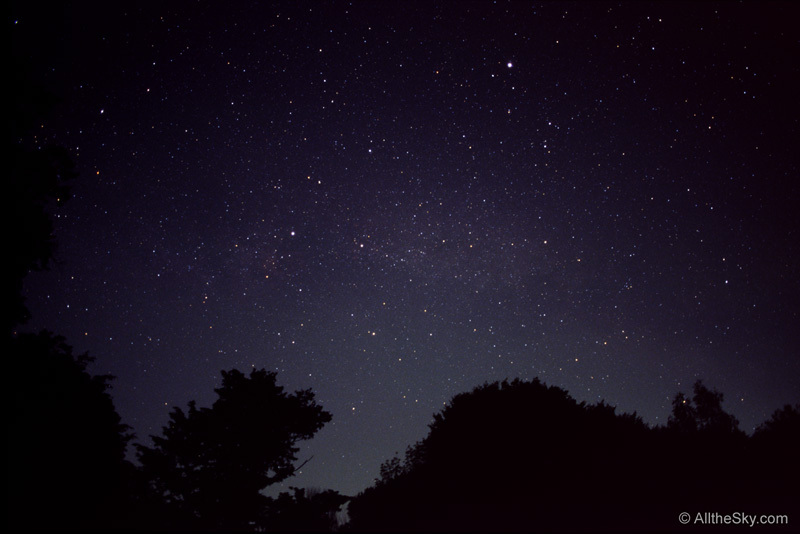 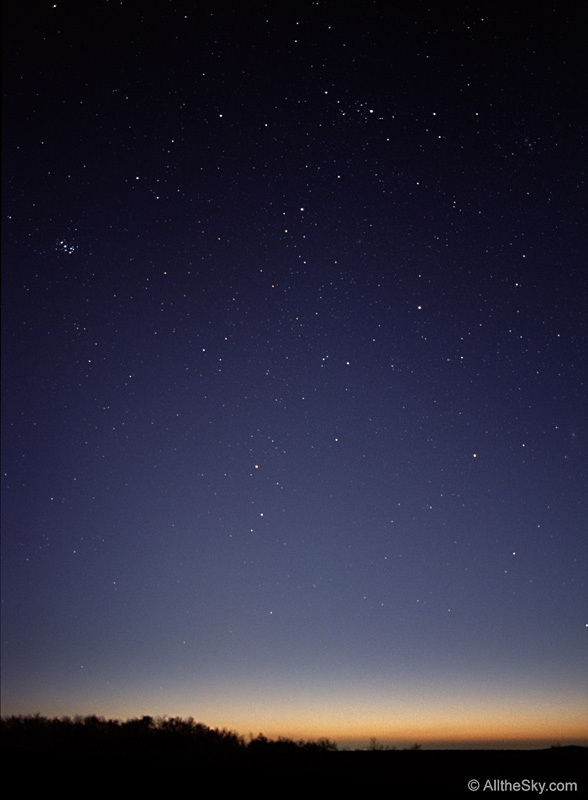 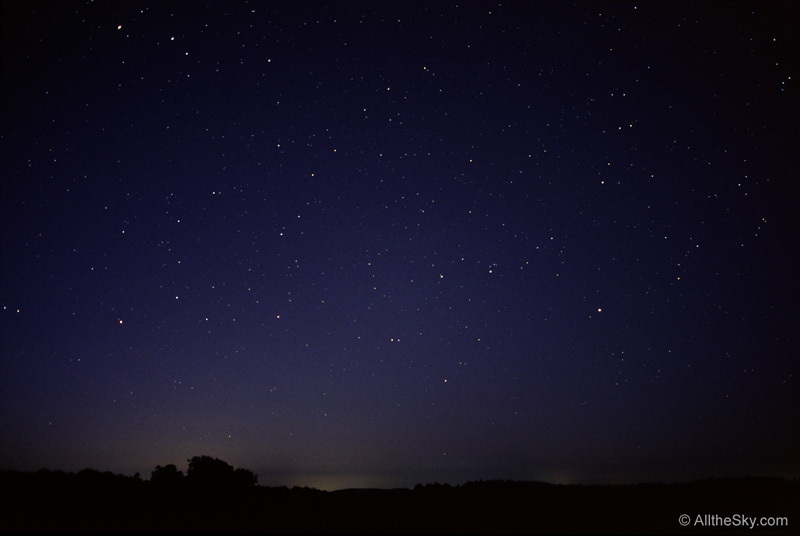 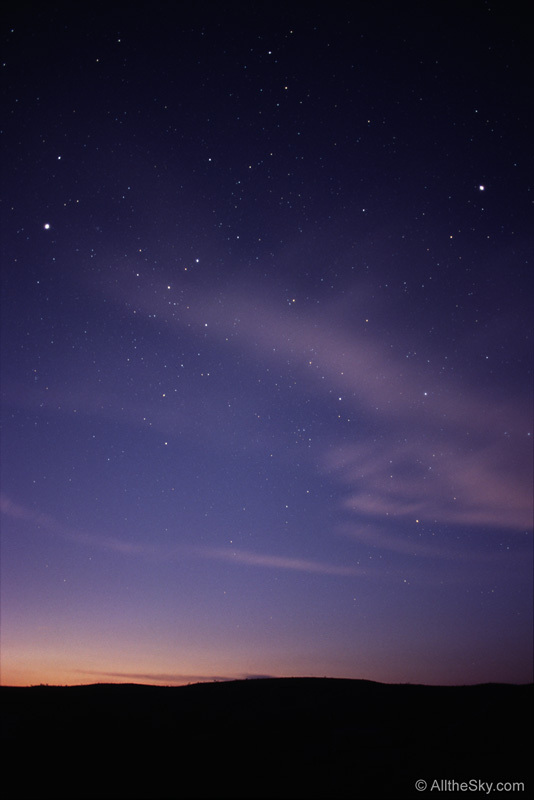 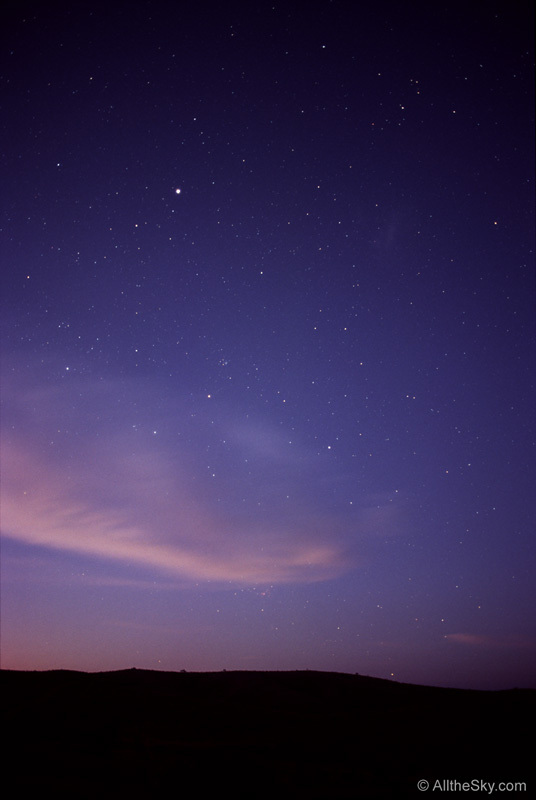 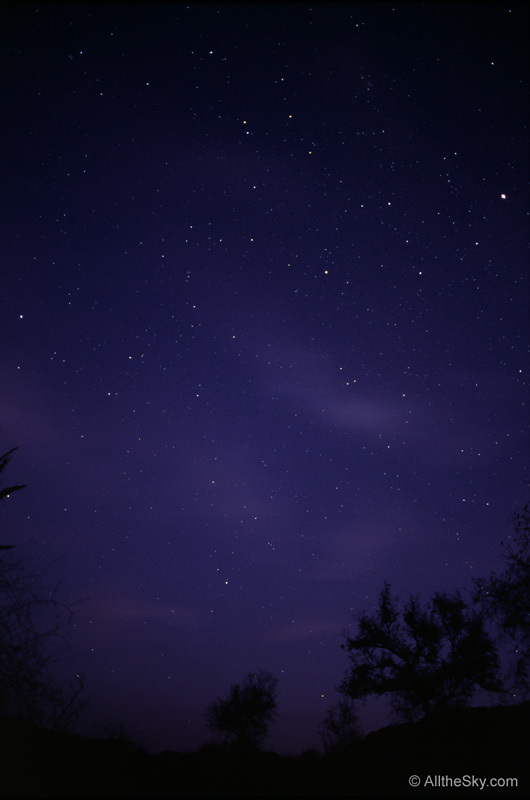 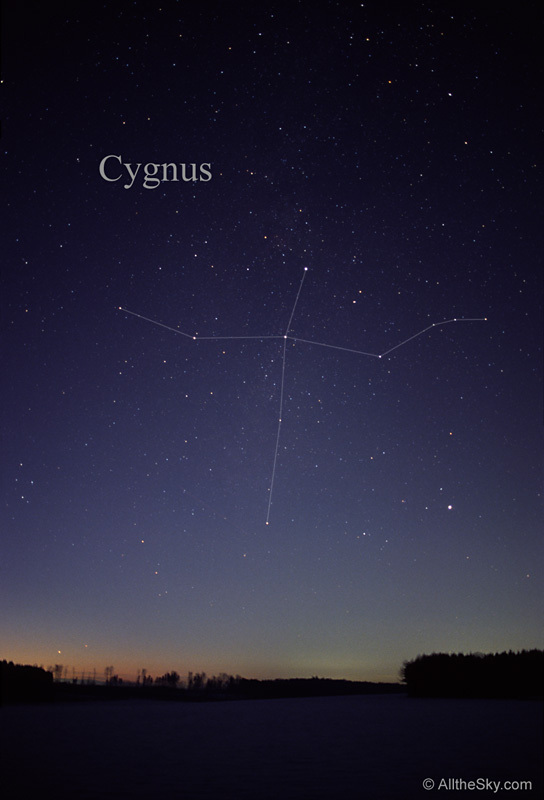 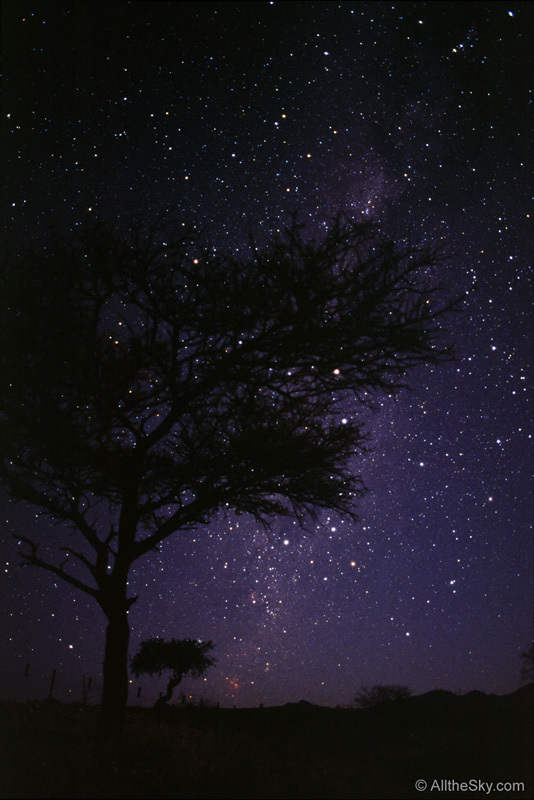 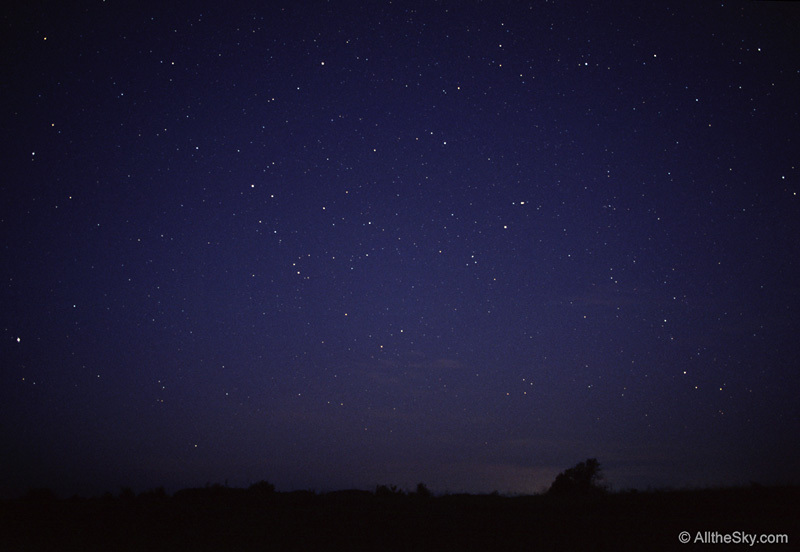 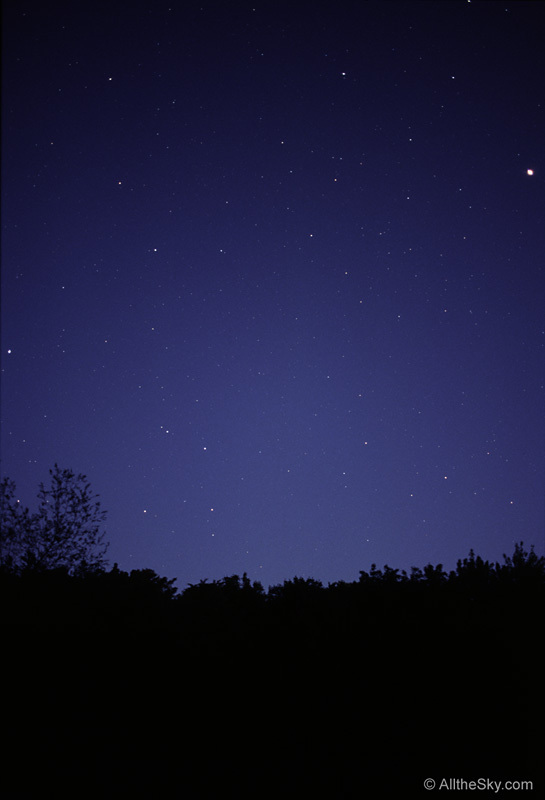 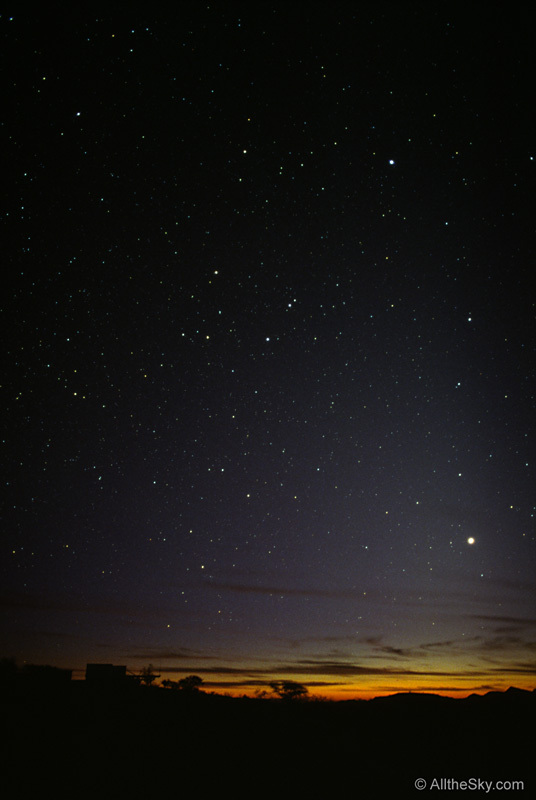 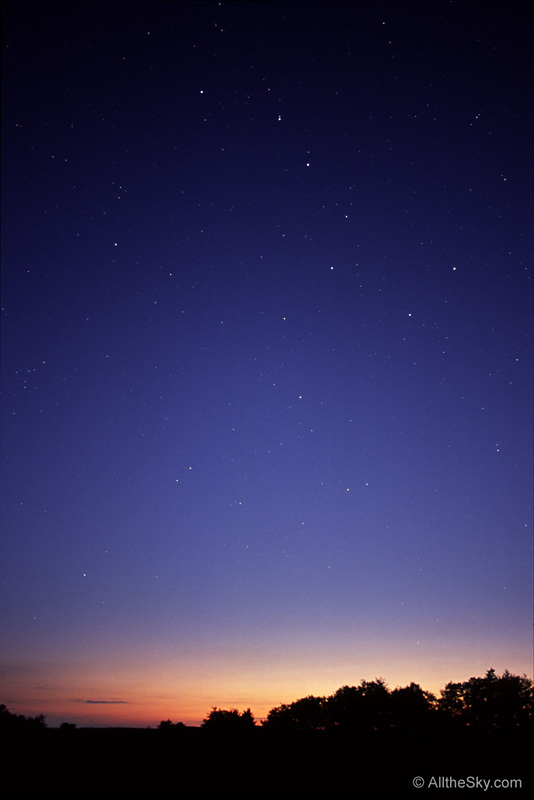 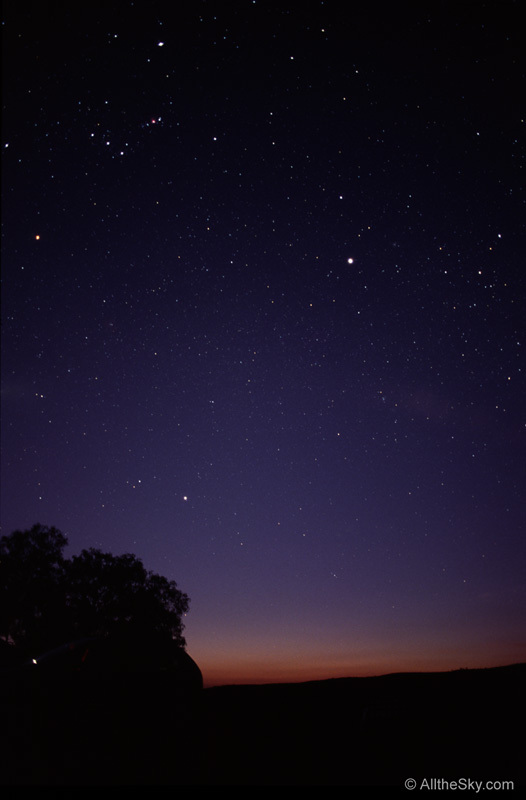 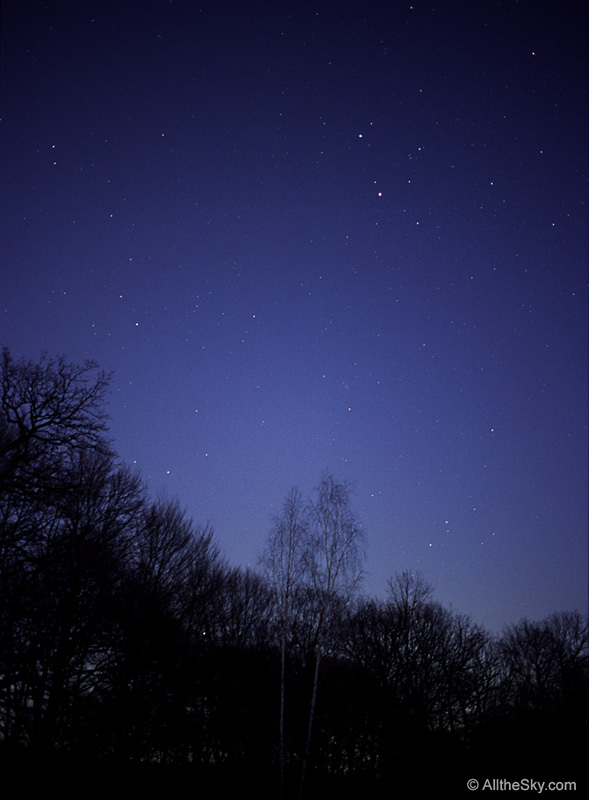 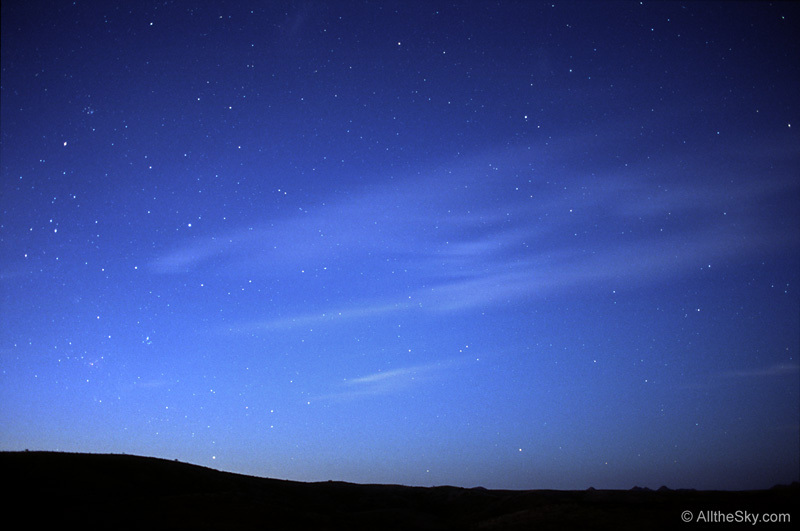 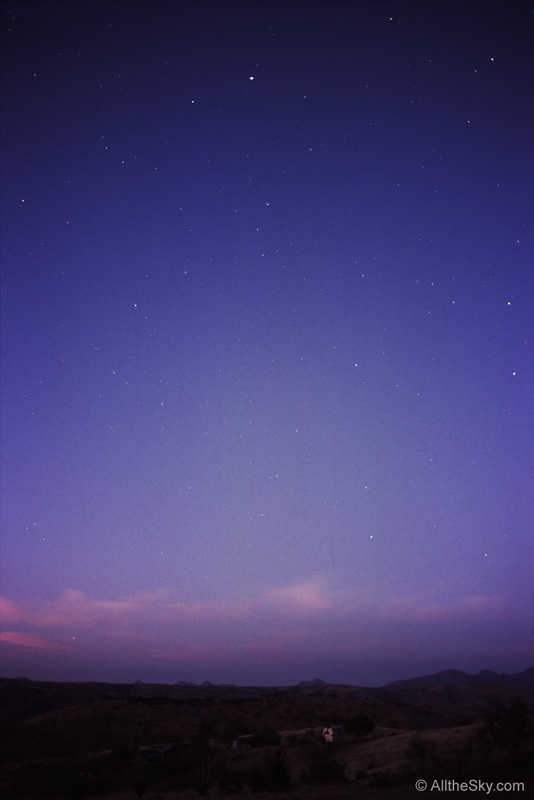 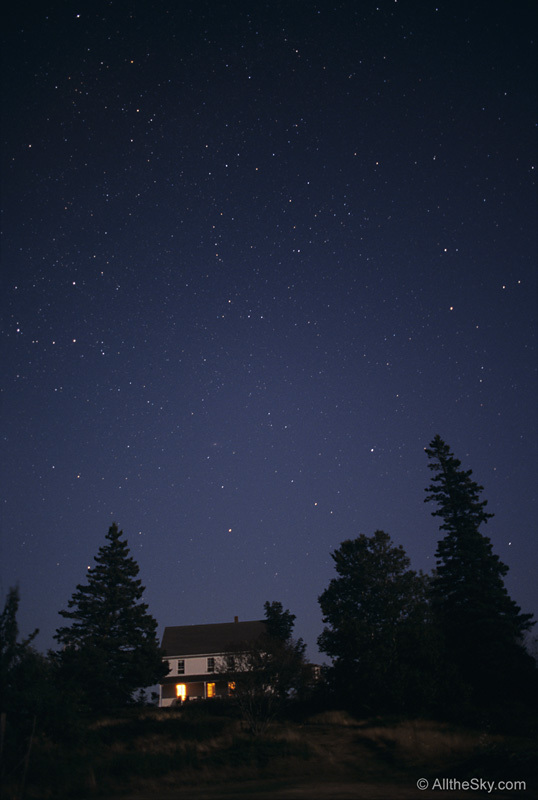 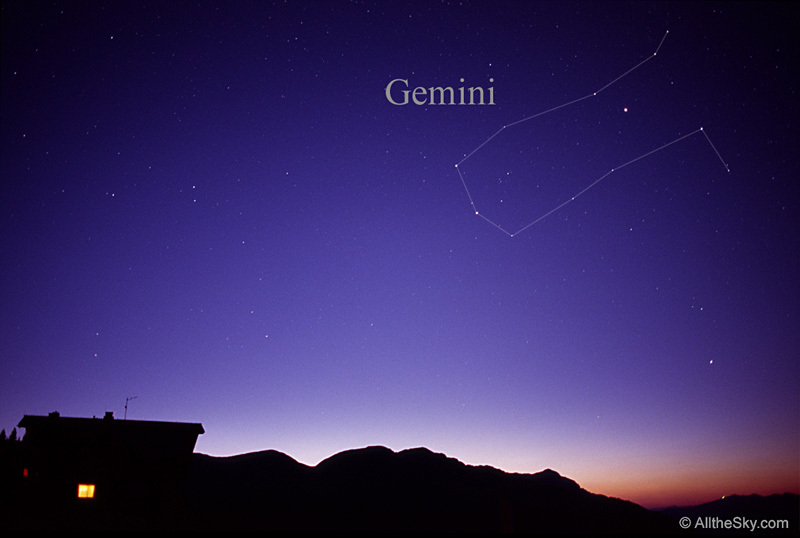 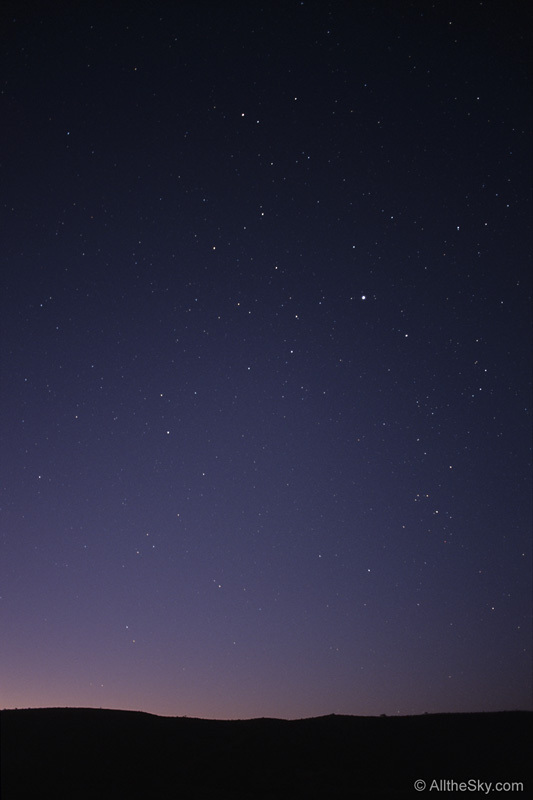 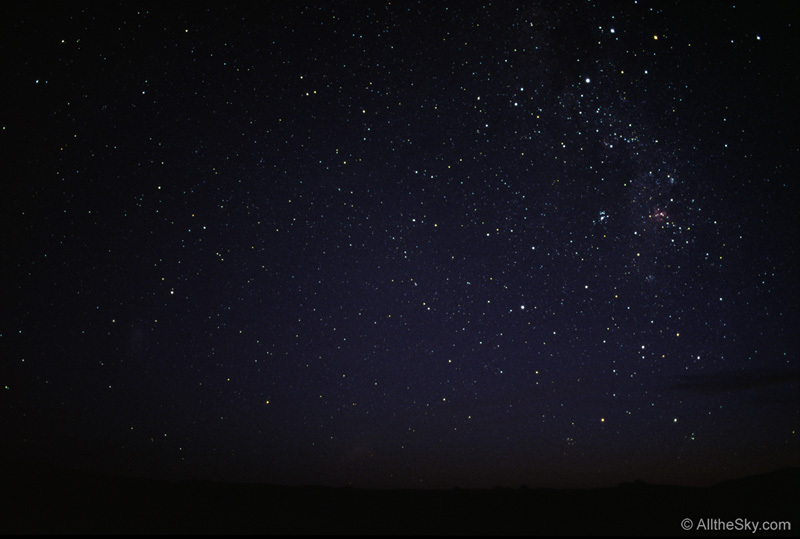 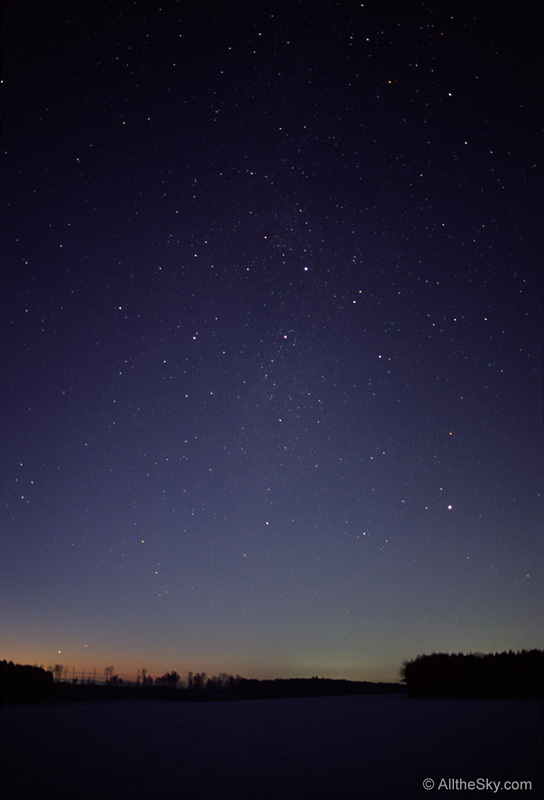 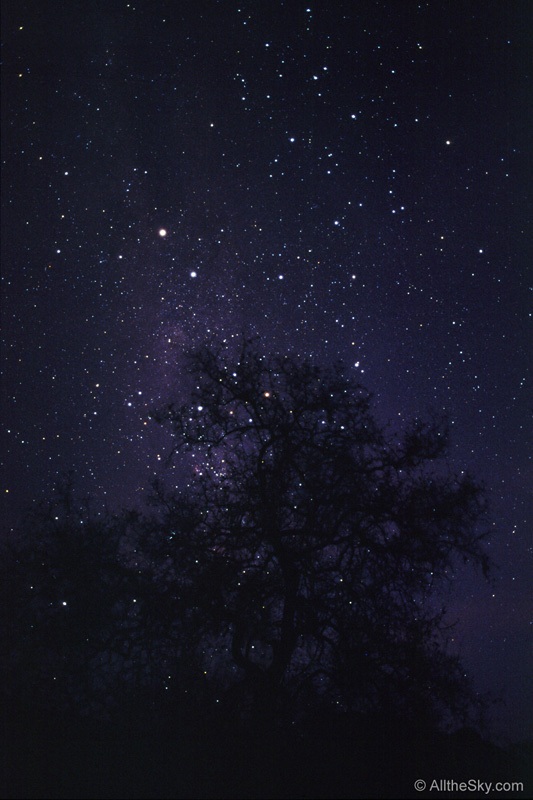 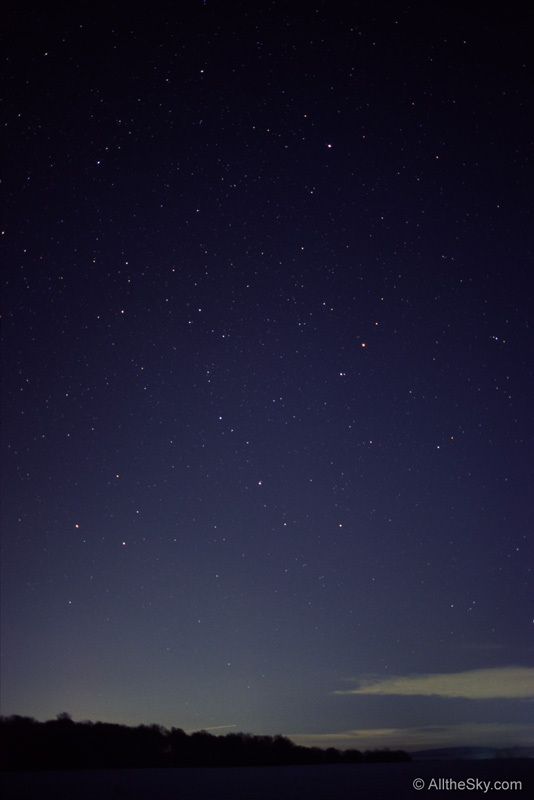 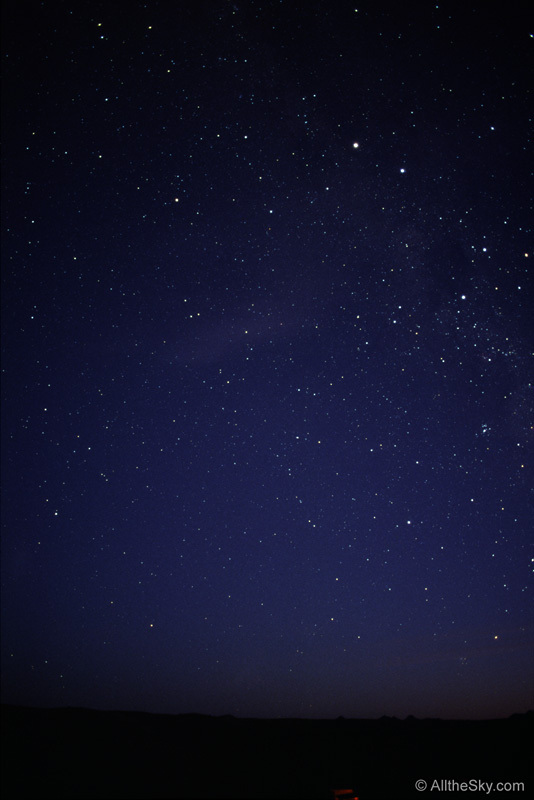 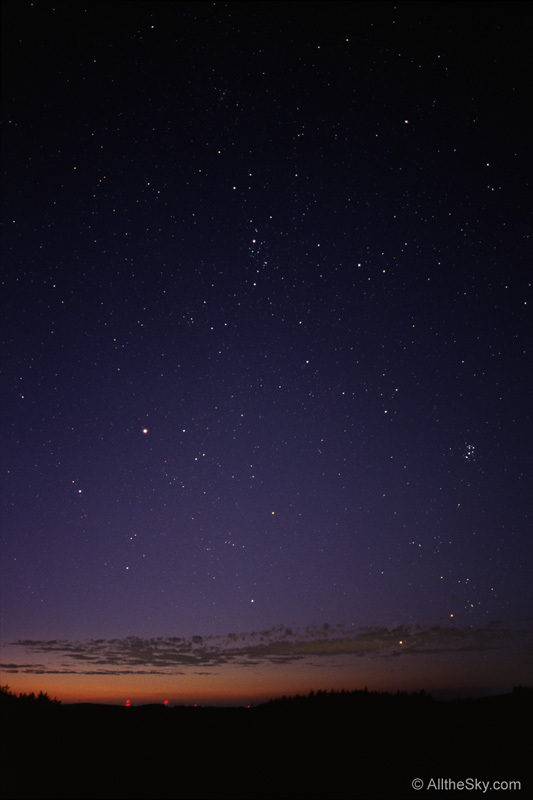 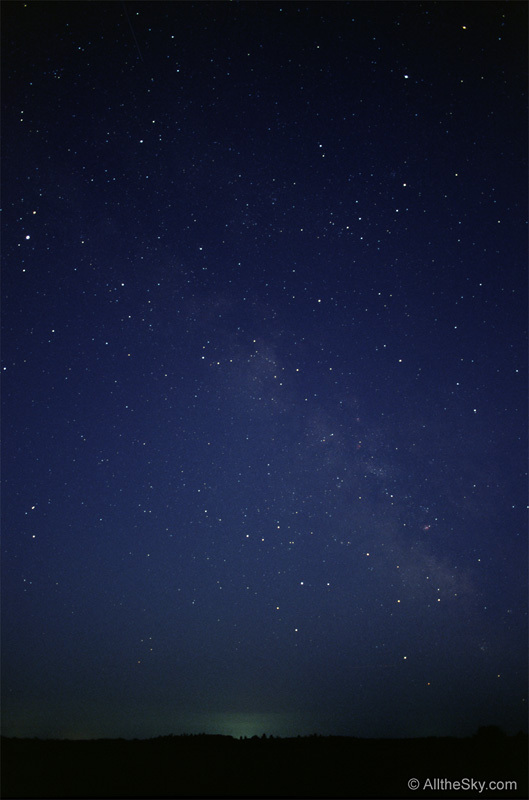 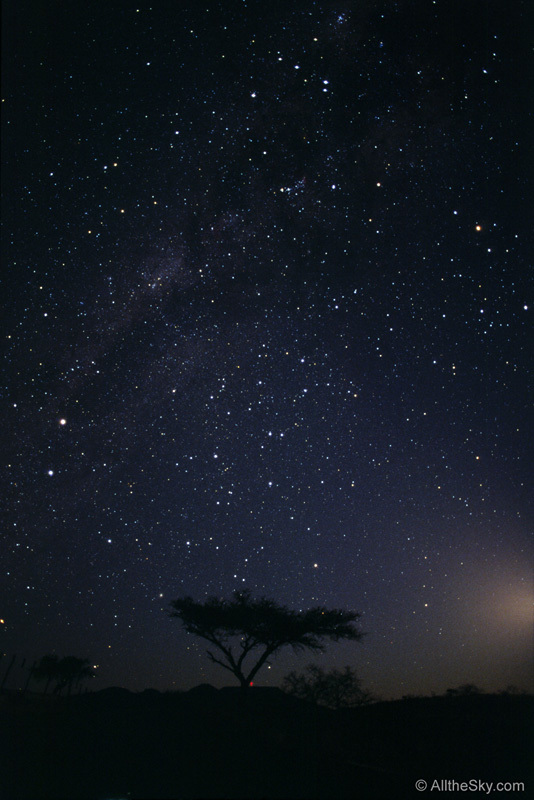 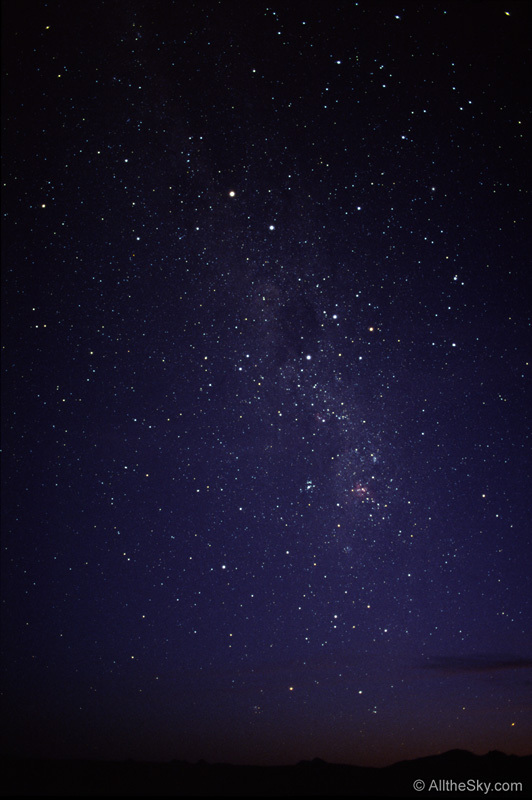 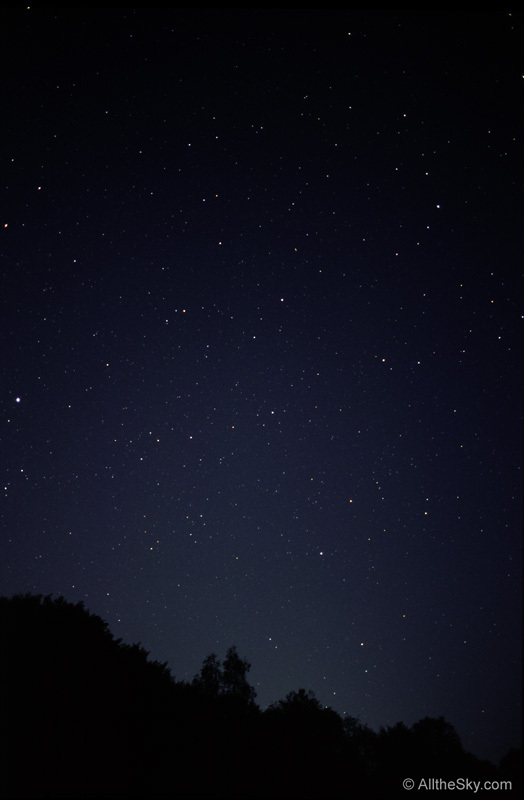 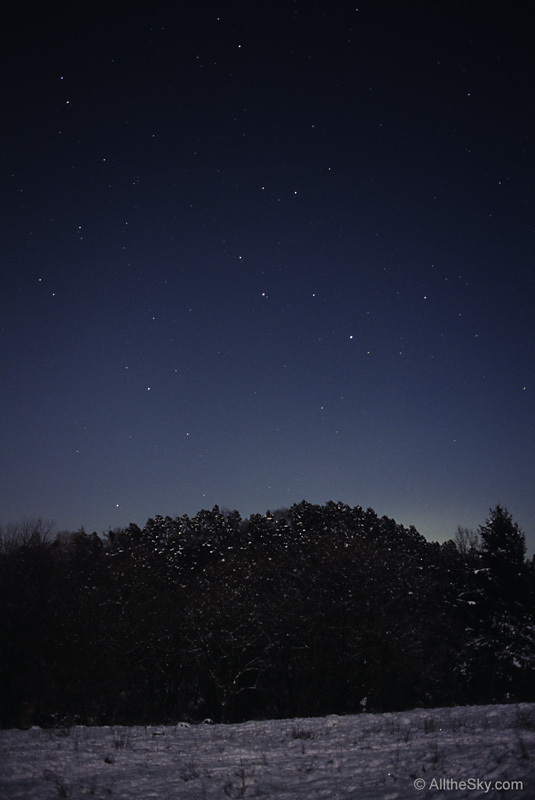 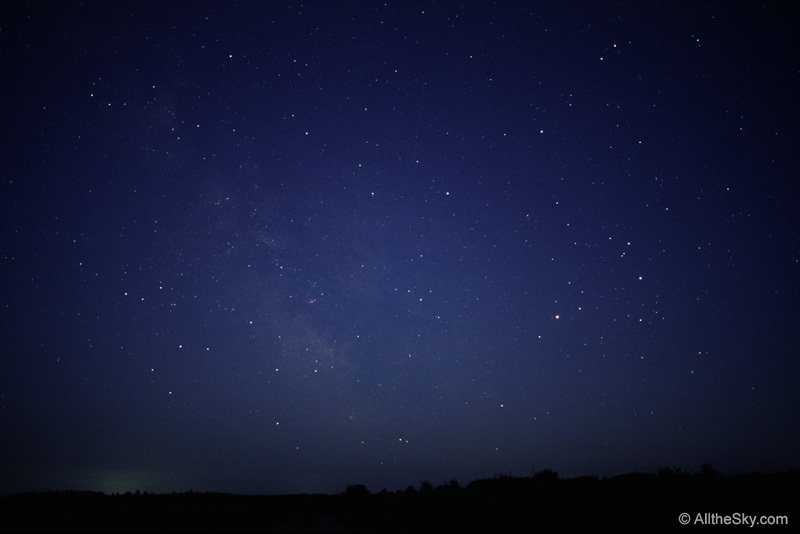 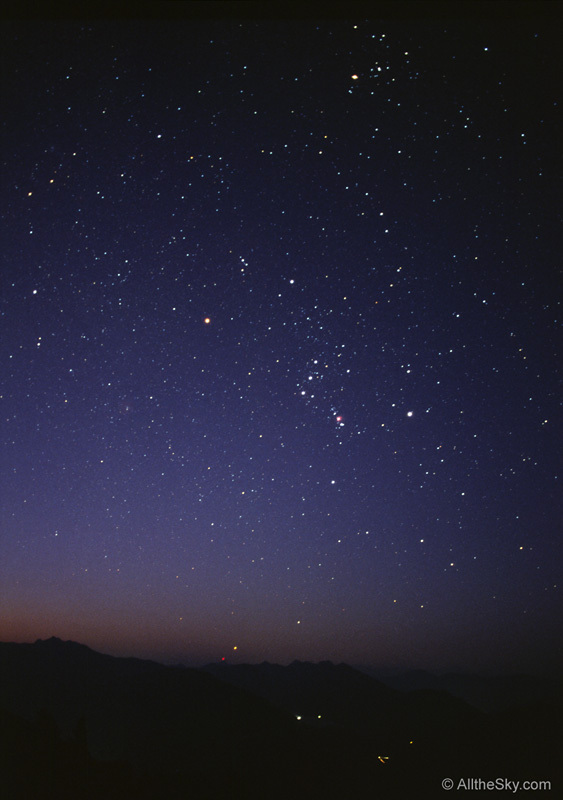 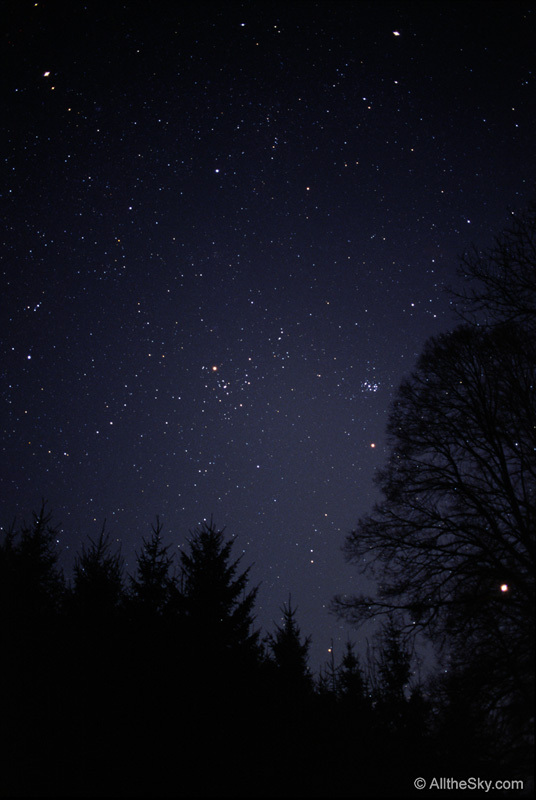 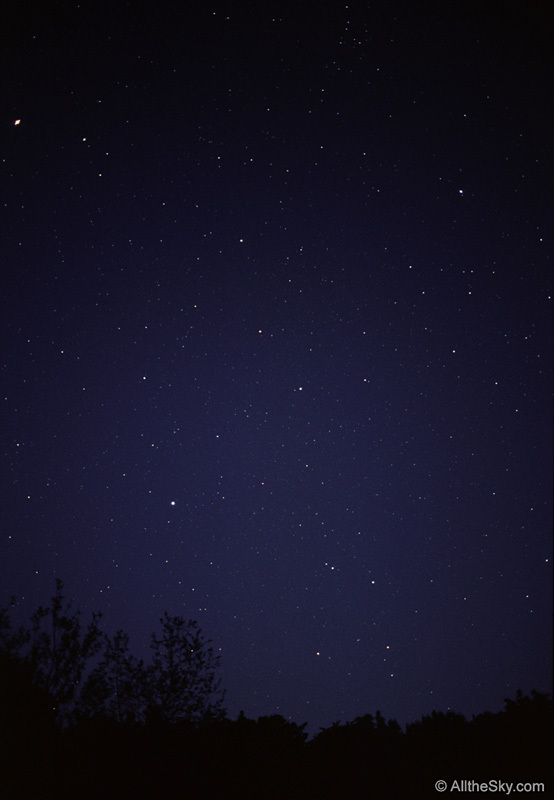 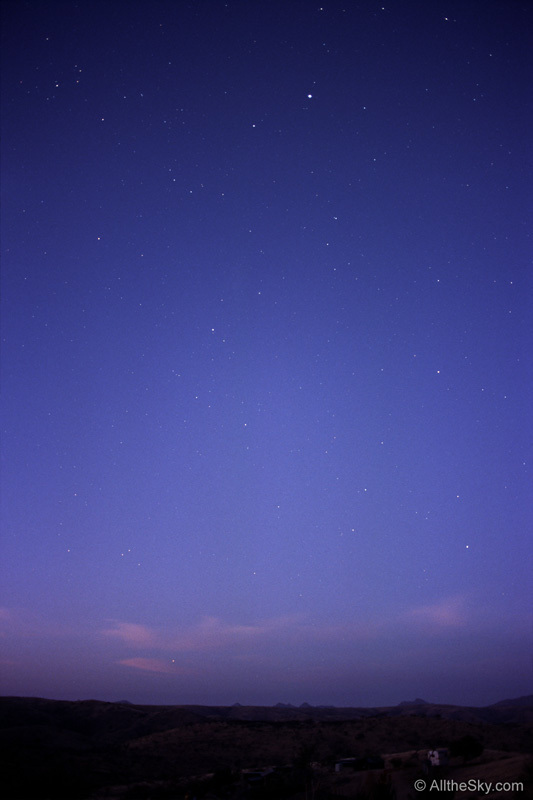 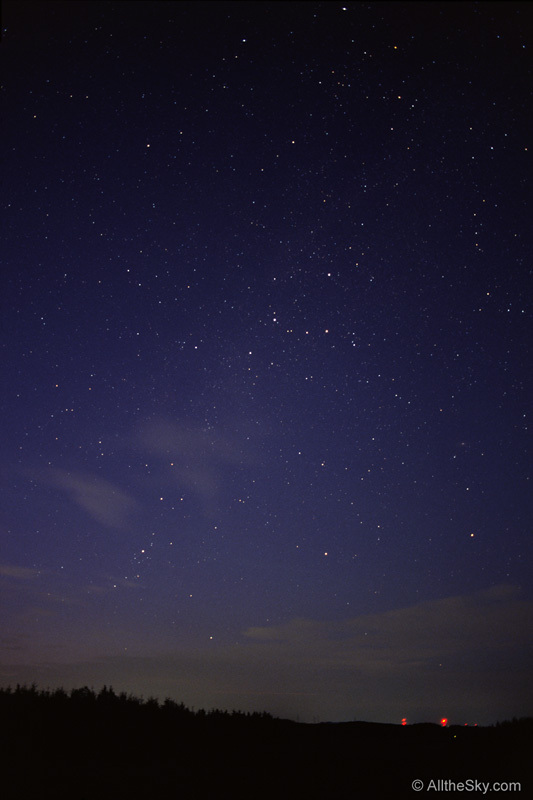 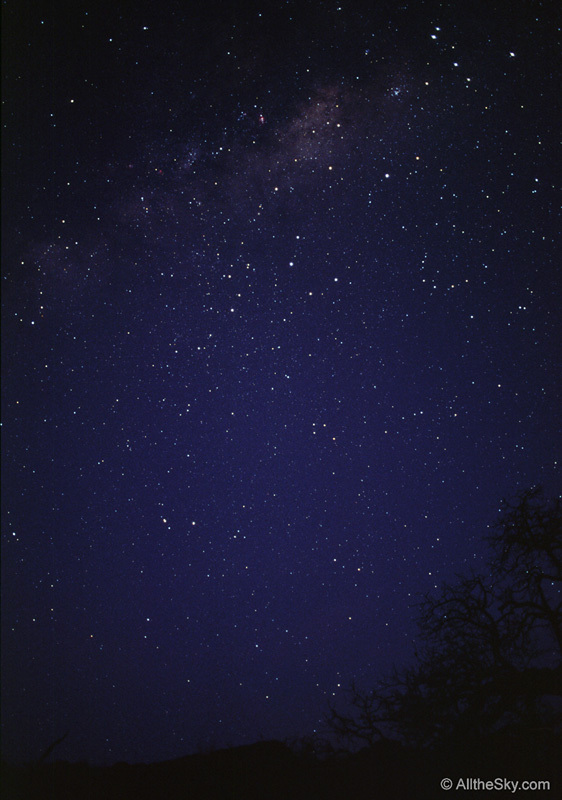 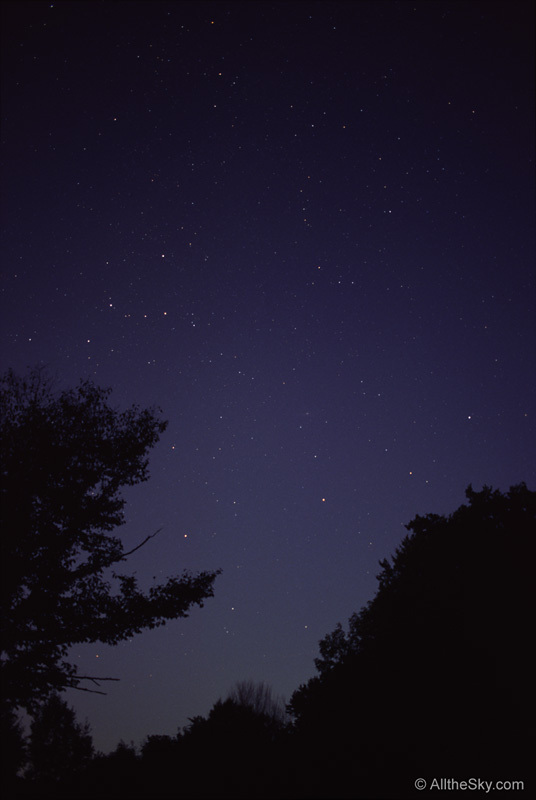 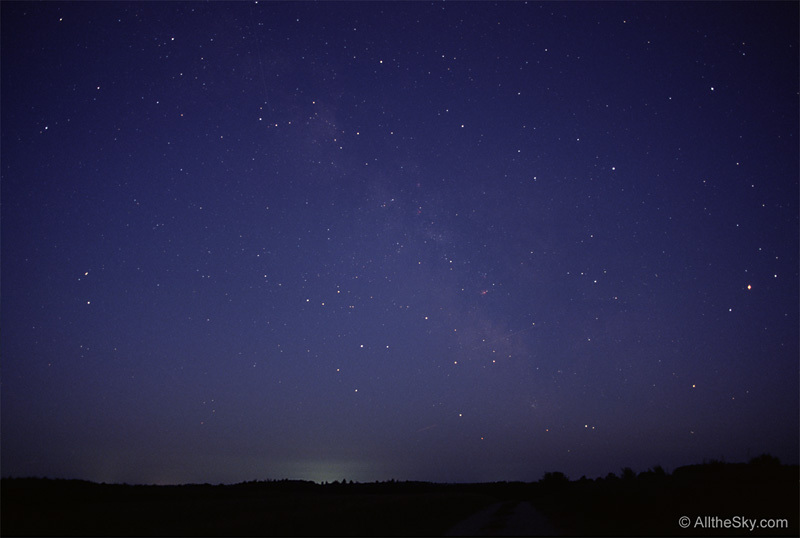 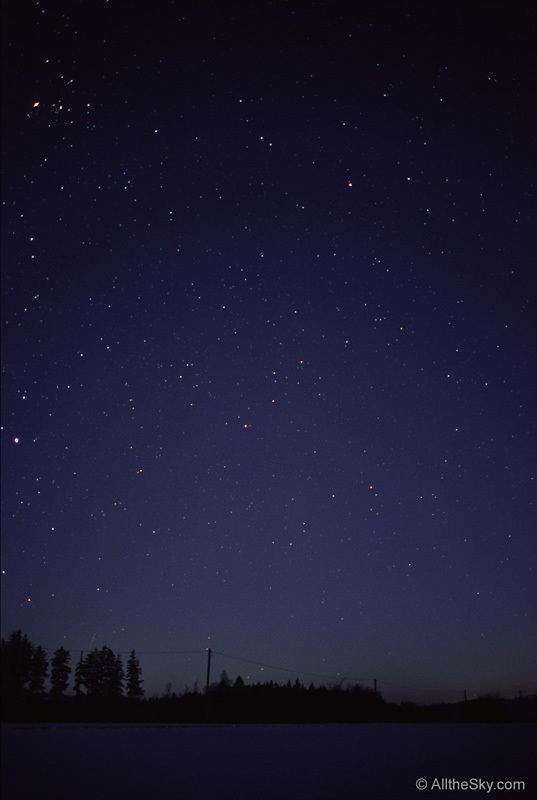 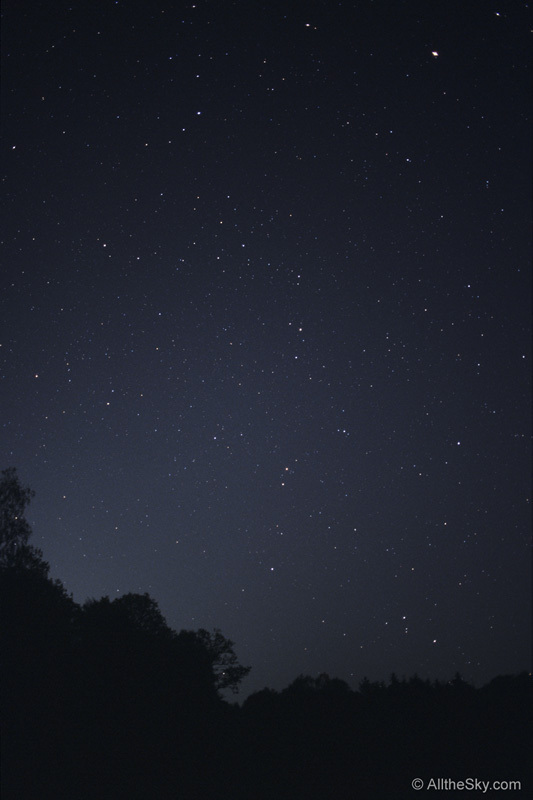 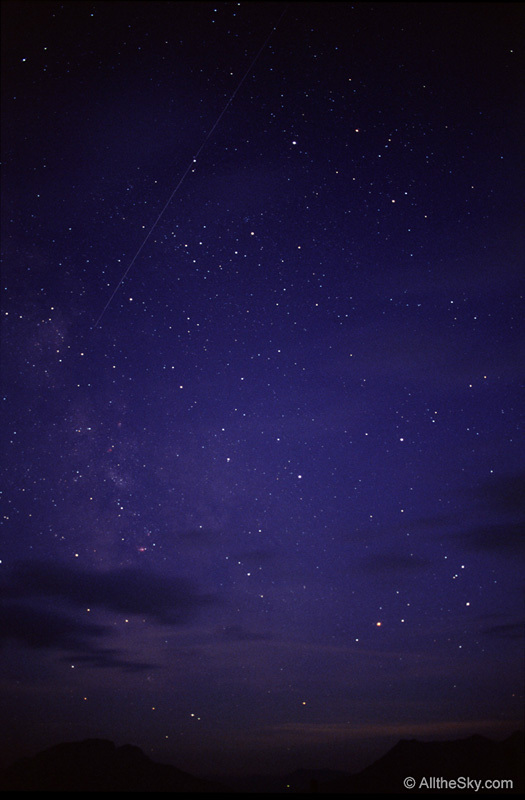 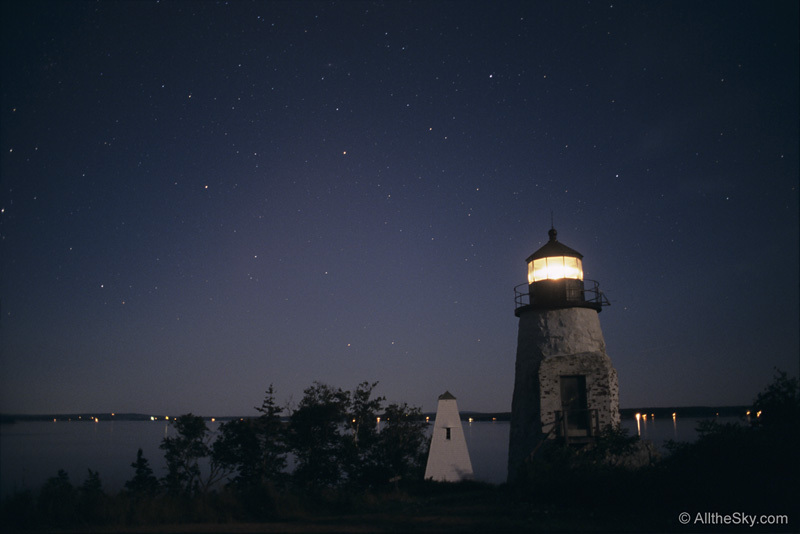 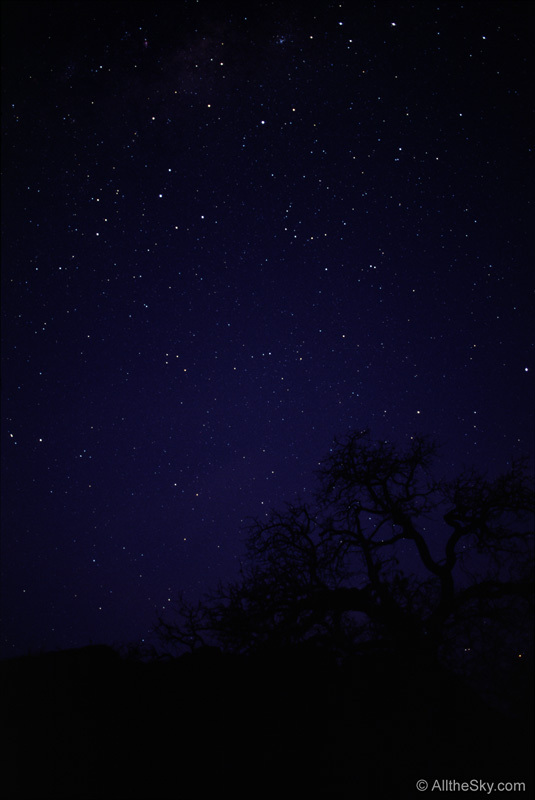 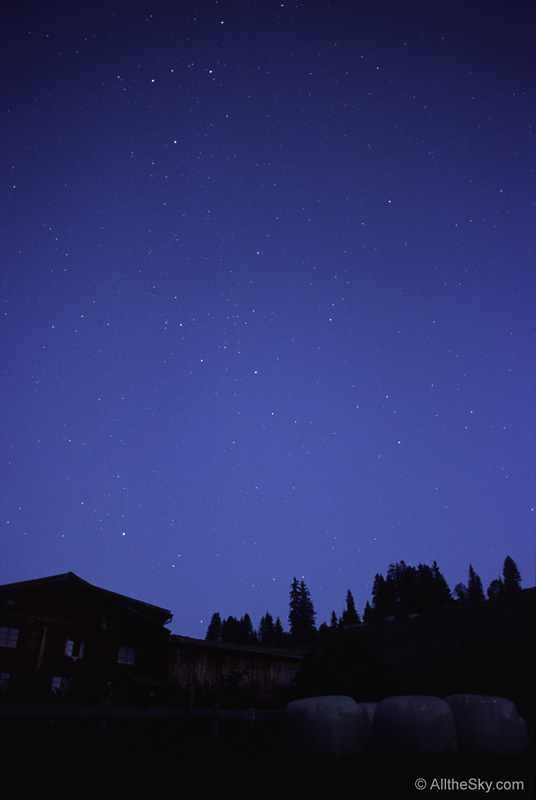 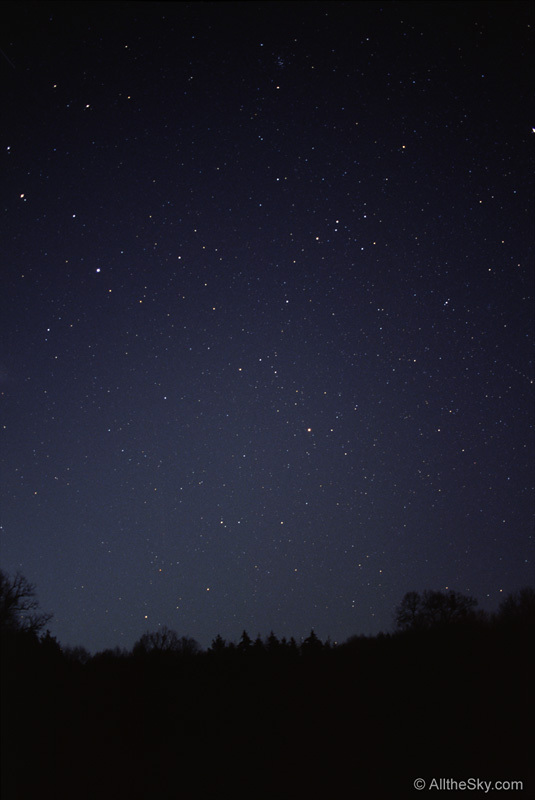 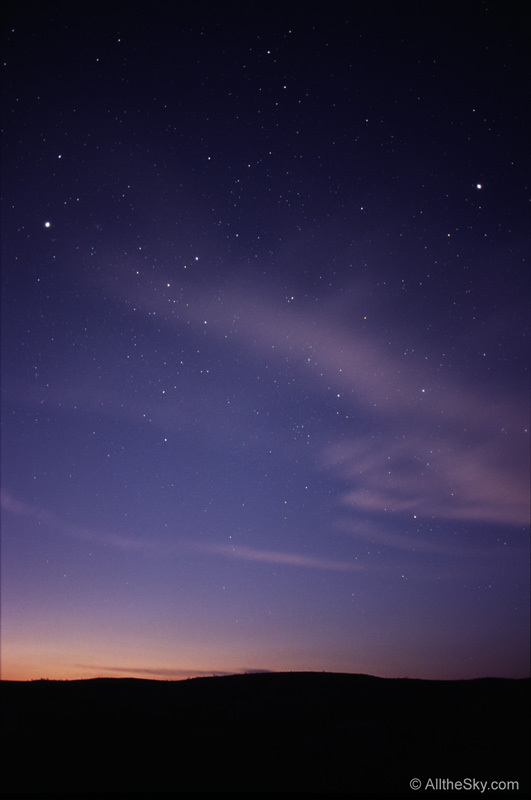 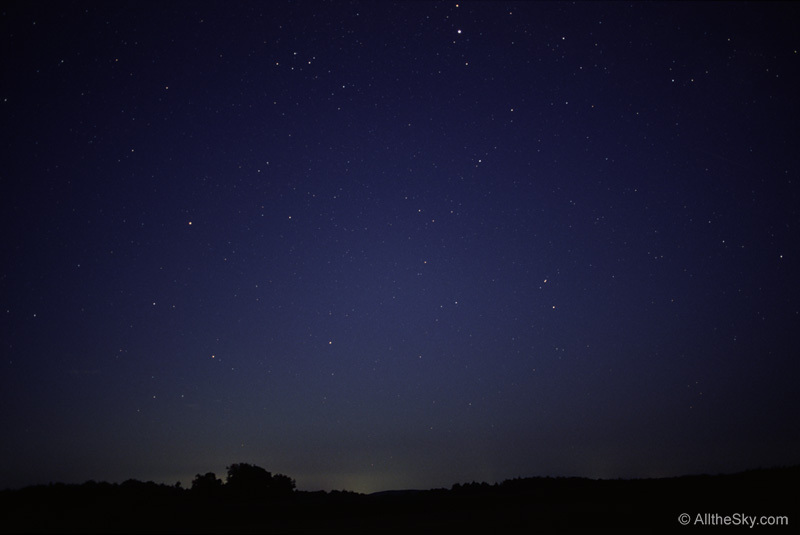 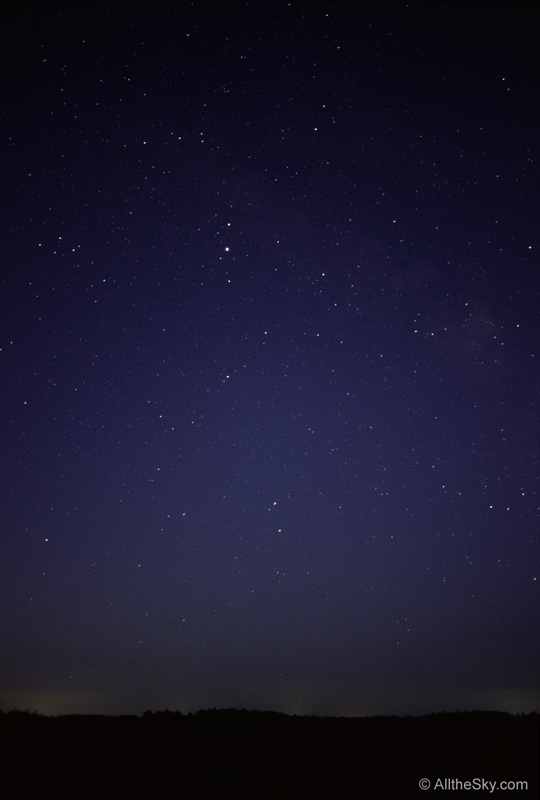 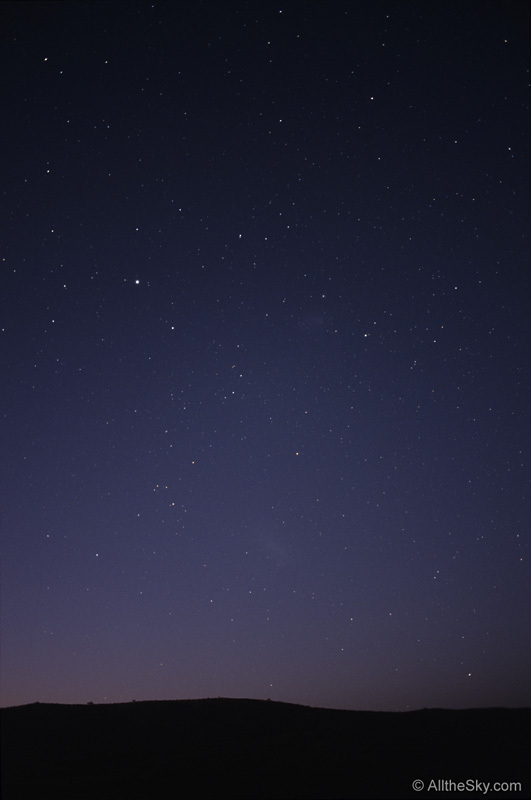 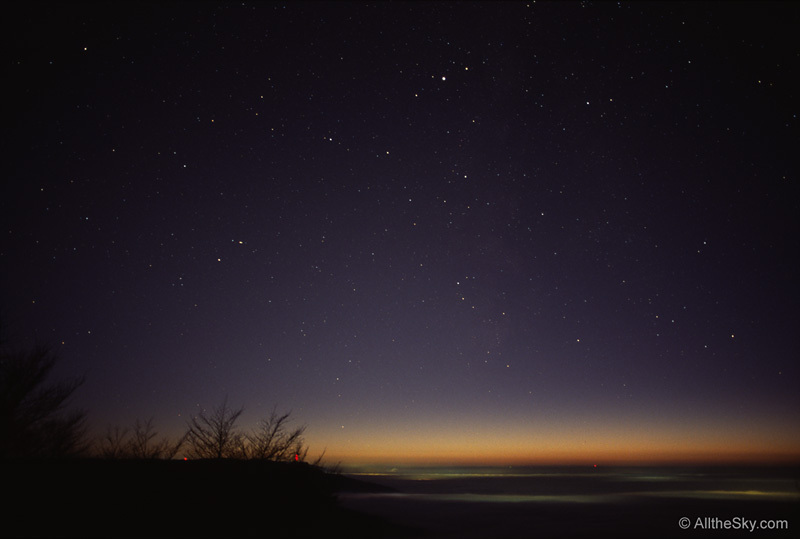 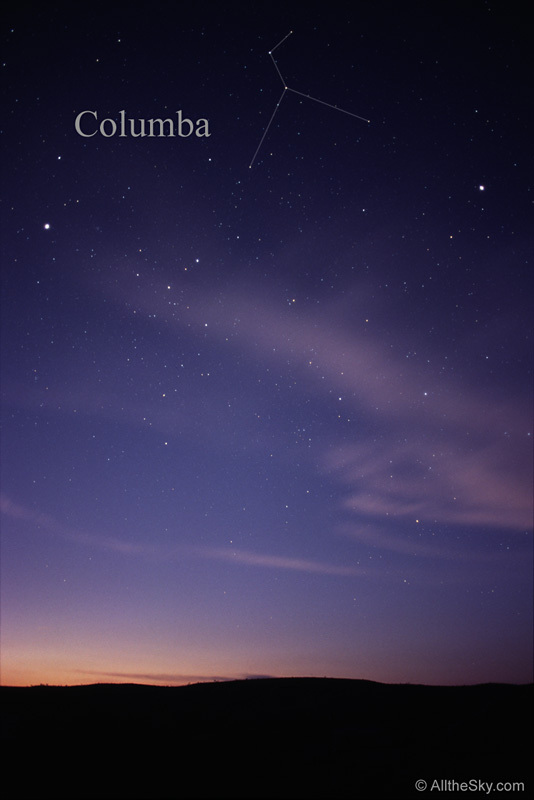 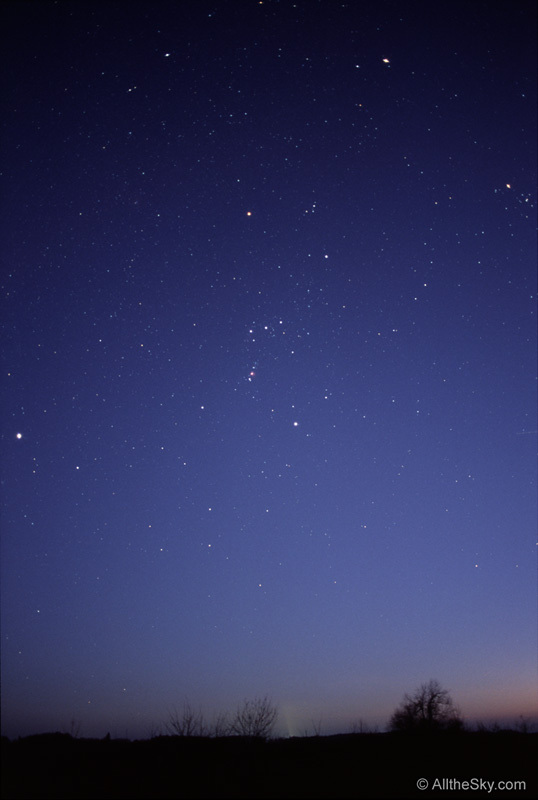 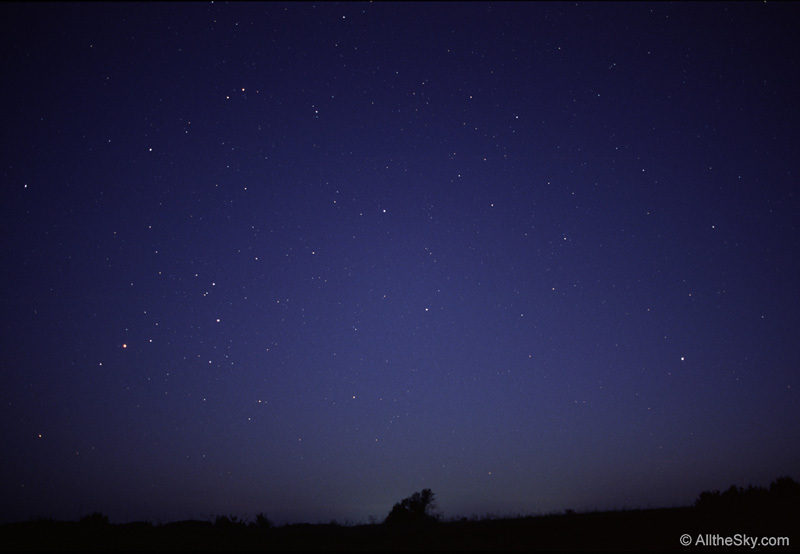 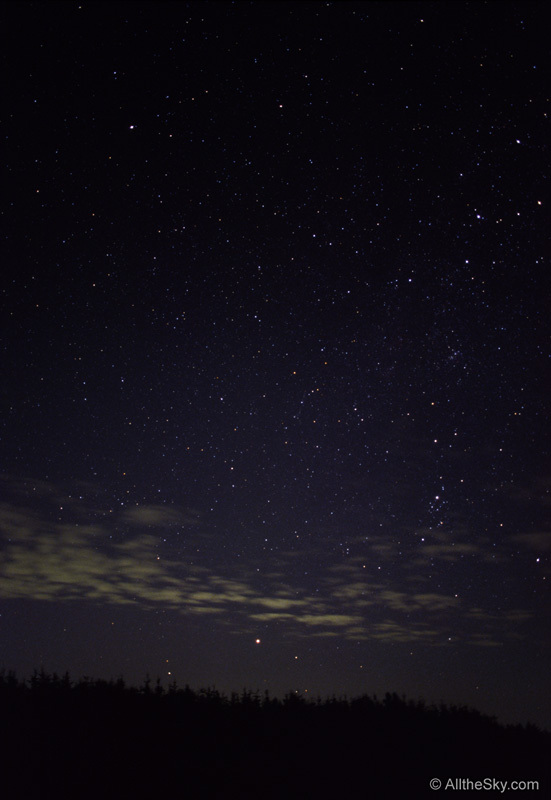 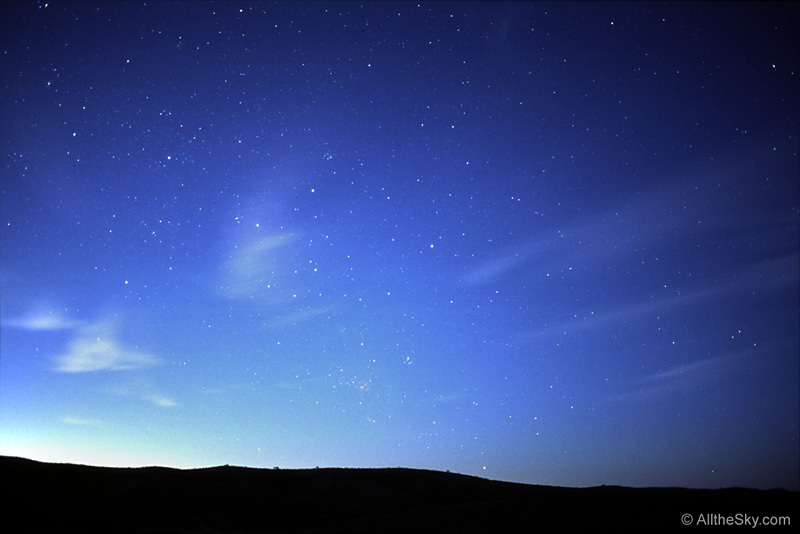 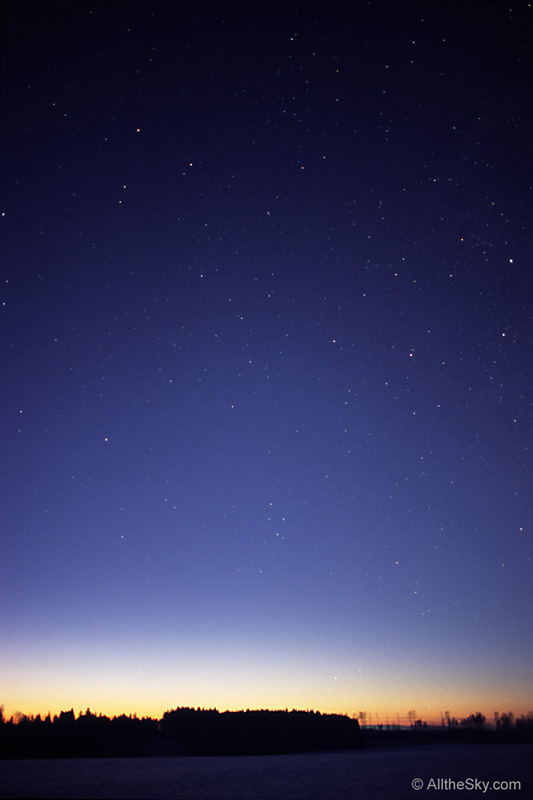 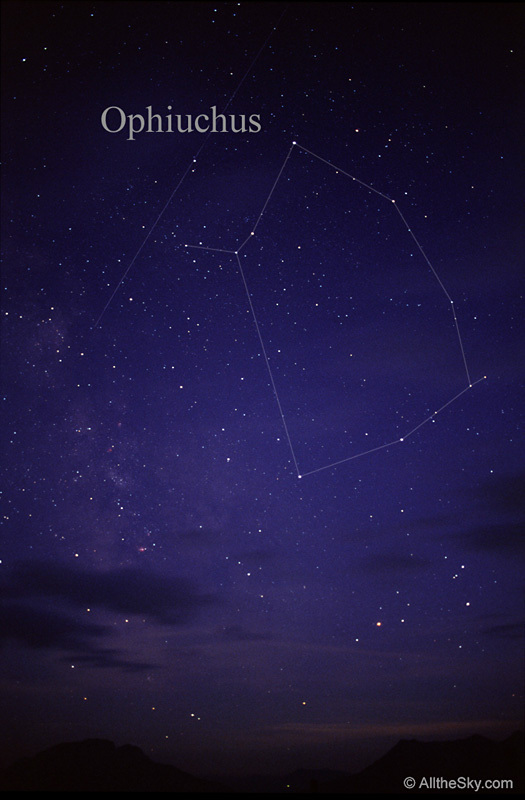 The constellation photos resemble more or less the impression of the starry sky we have by naked eye. 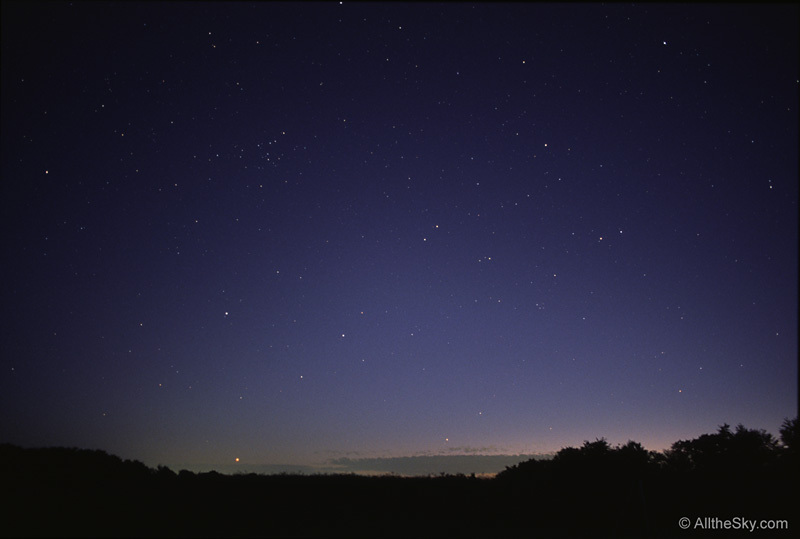 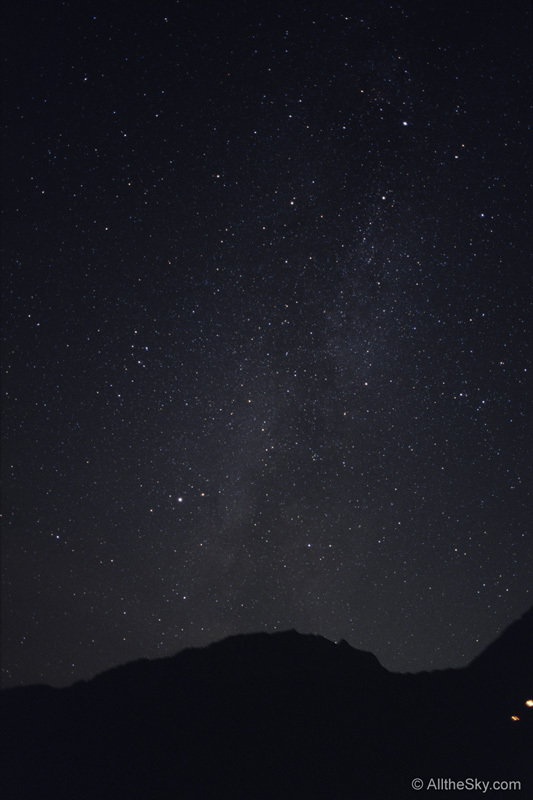 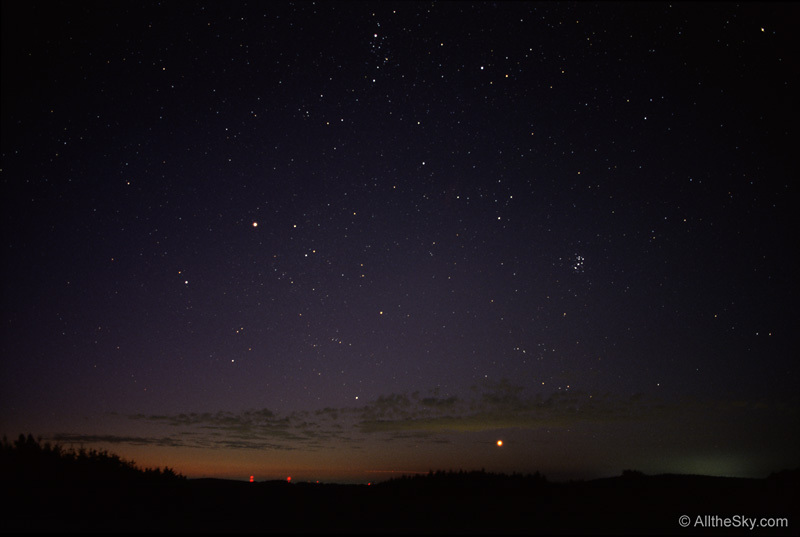 They are intended to be quite natural, just the way the well adapted naked eye might see the stars in a clear night at full darkness, little moonlight or at the rest of twilight. 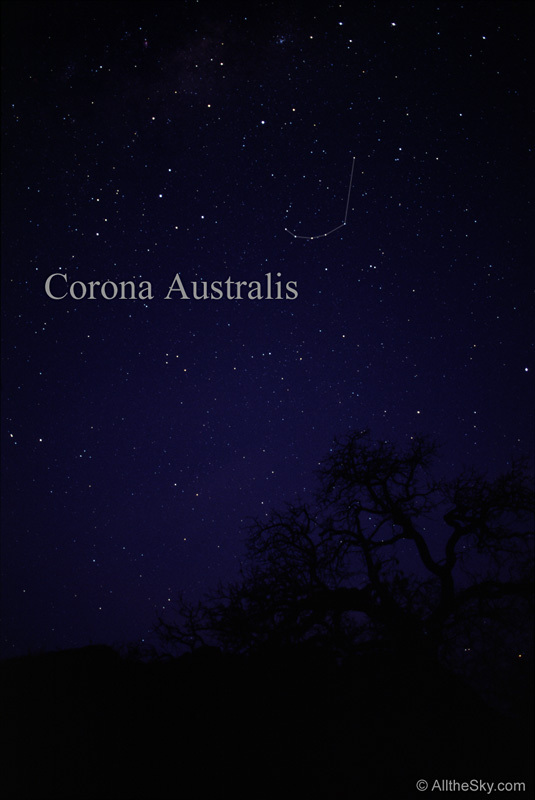 If you prefer deep photographies, also showing the myriad of fainter stars we usually can't see by naked eye, please have a look at my "Deep Photographic Guide to the Constellations". 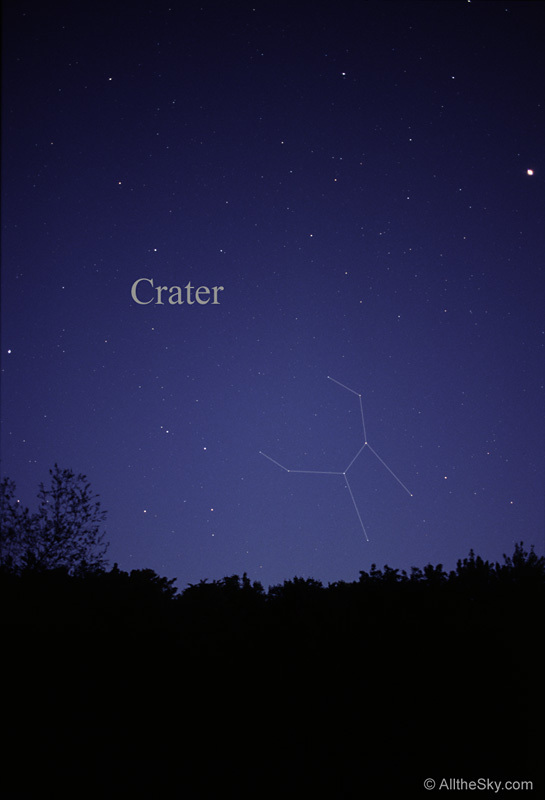 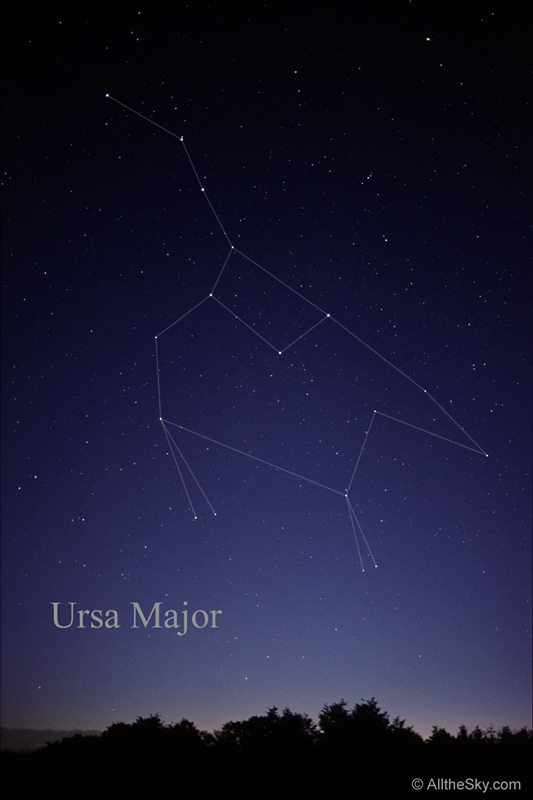 There is no standard for the constellation outlines, only the borders are defined by the International Astronomical Union (IAU). 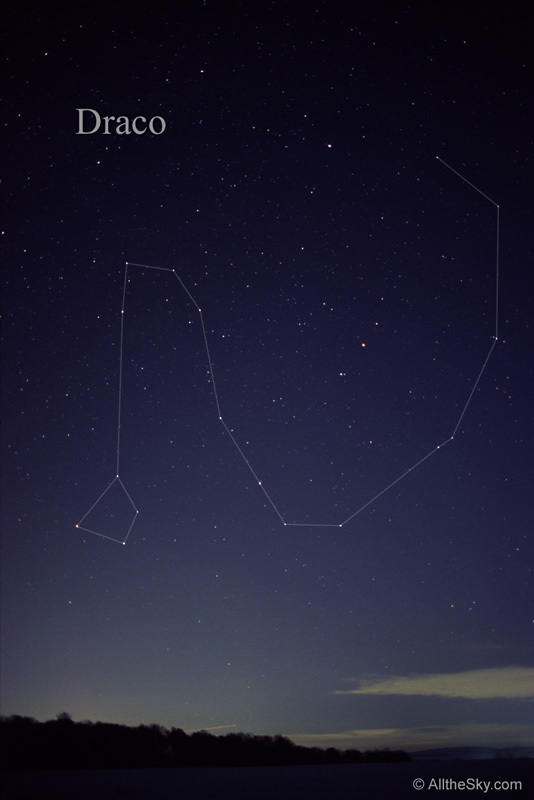 So the outlines are quite arbitrary but similar to most sky charts. 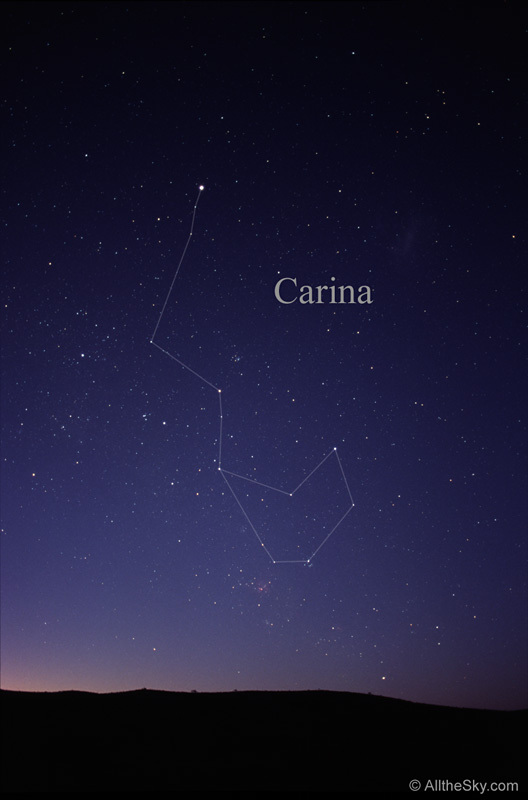 Their purpose is just to help identifying the fixed star pattern of each celestial region. 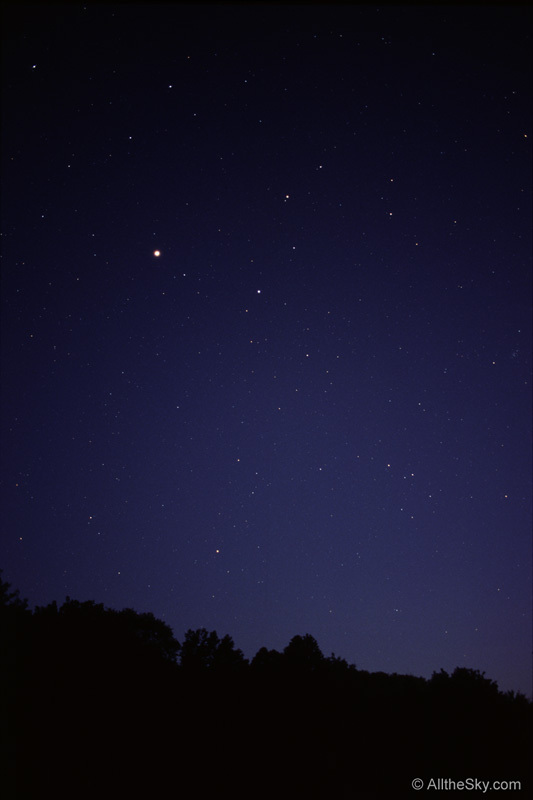 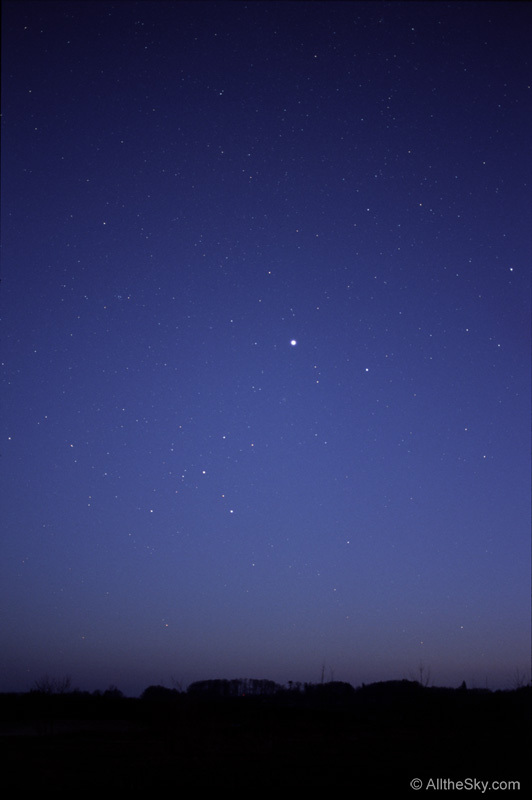 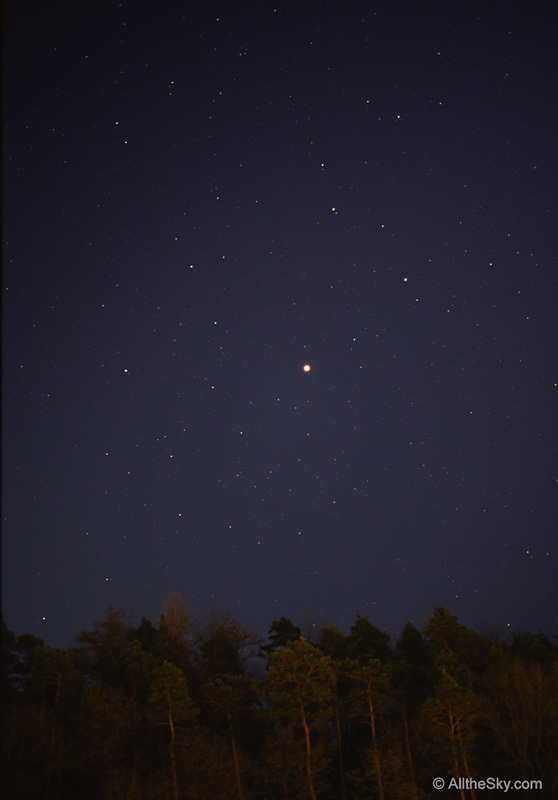 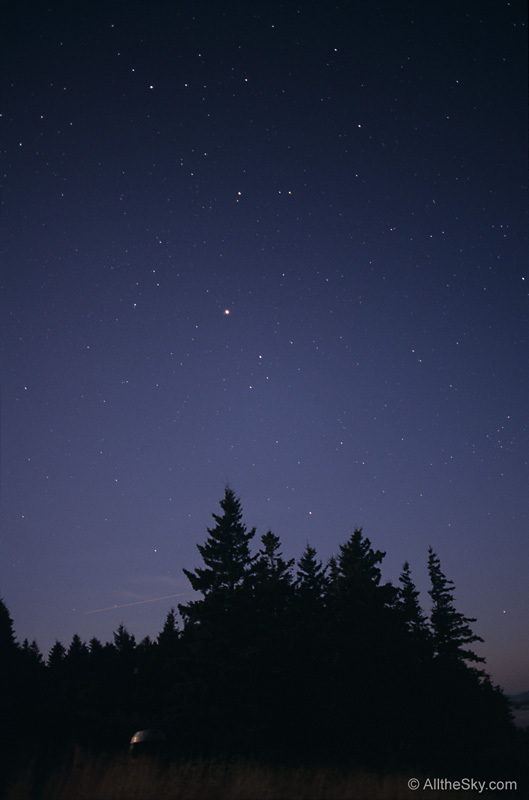 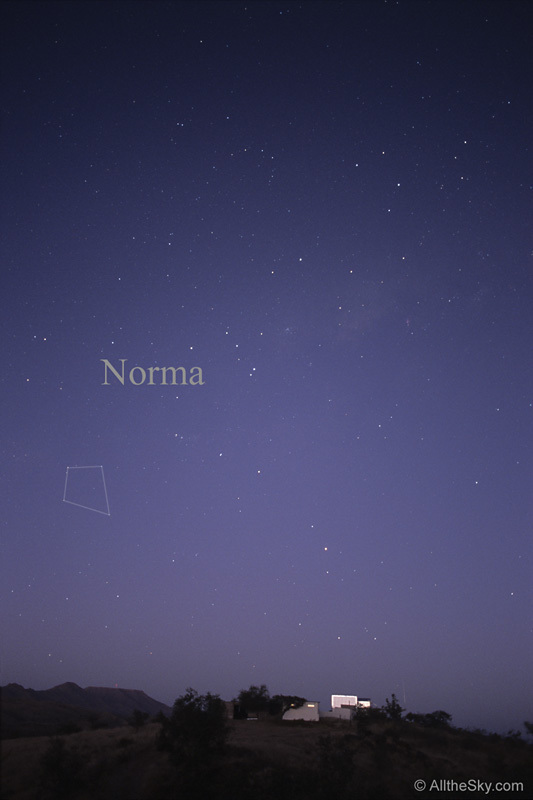 Nevertheless, it is always impressive to identify such a fixed star pattern in the real night sky. Go, grab your sky chart and have a try! 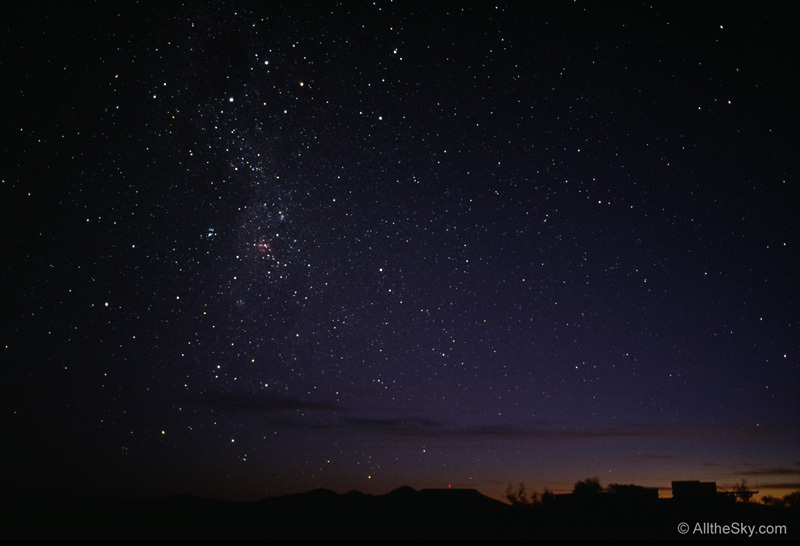 The same optics (28 mm focal length) and conventional slide film was used throughout the entire project. 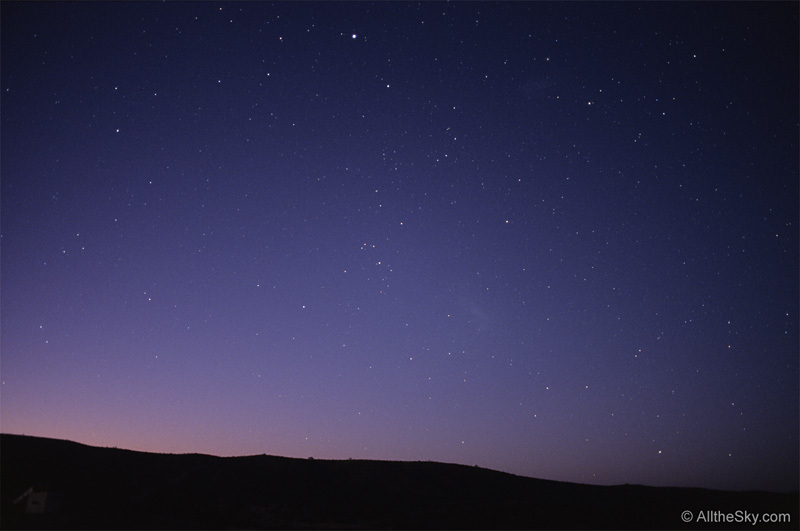 This gives the same standard field of view and similar impressions in color and resolution. 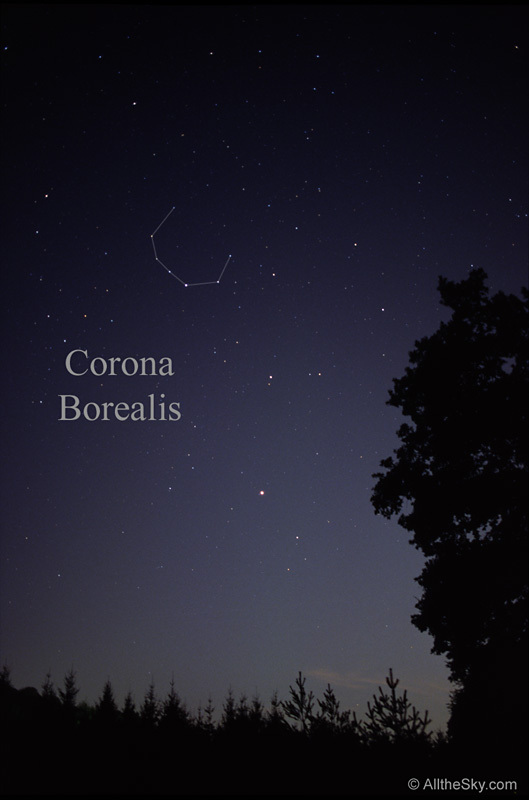 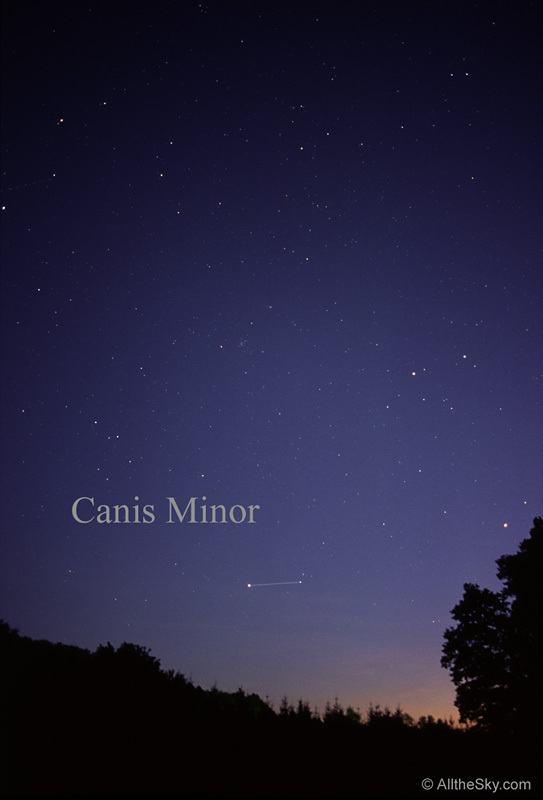 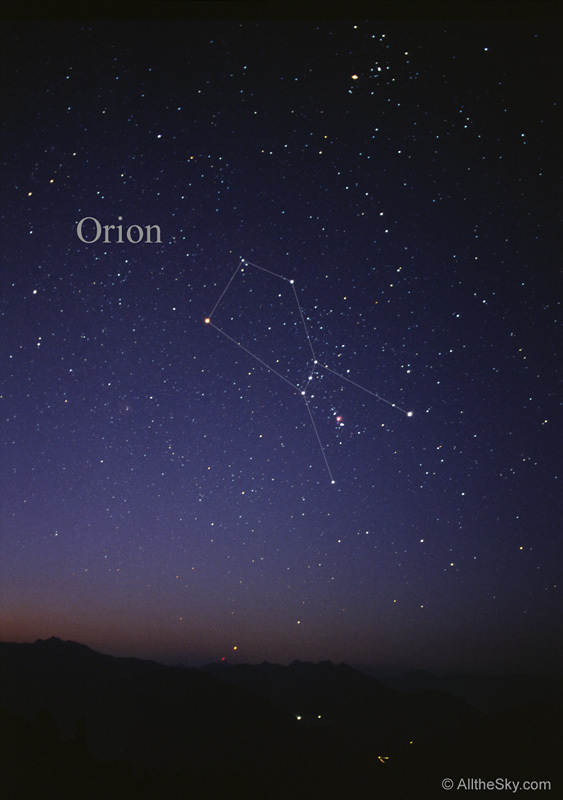 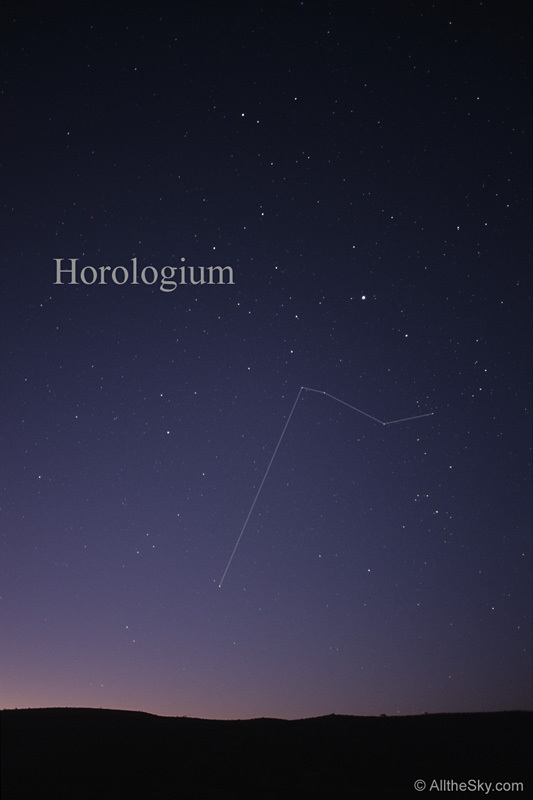 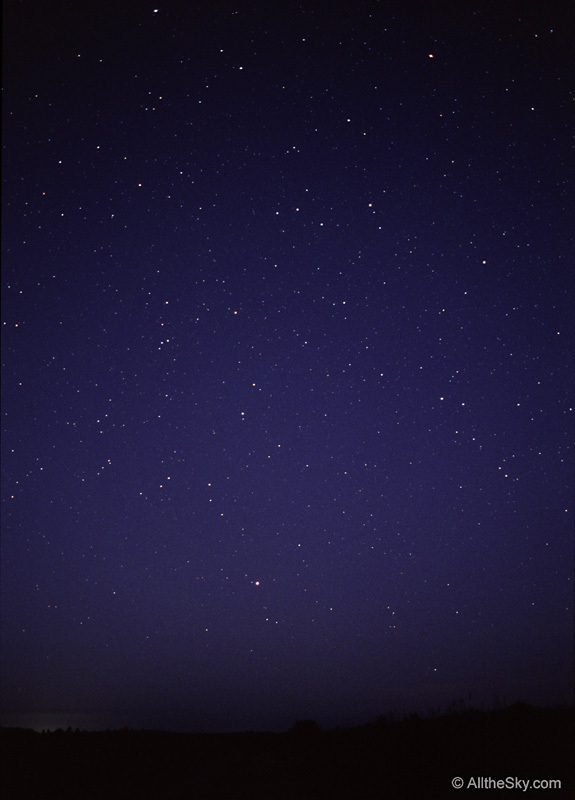 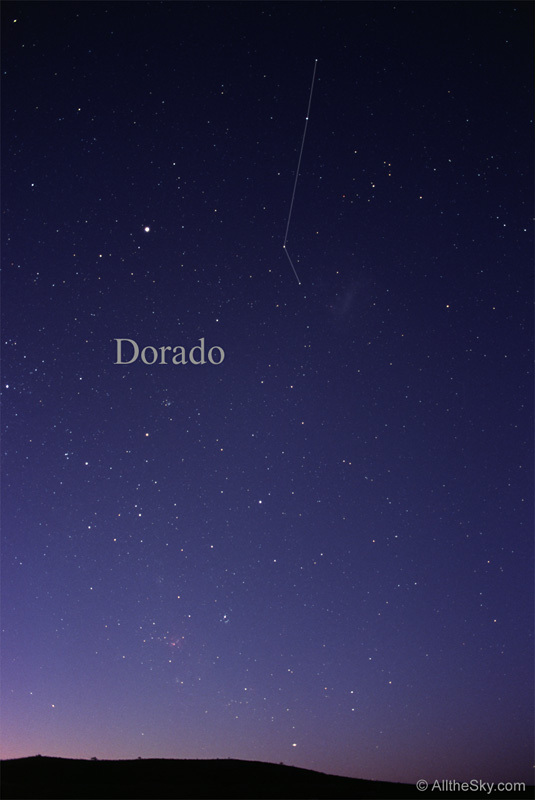 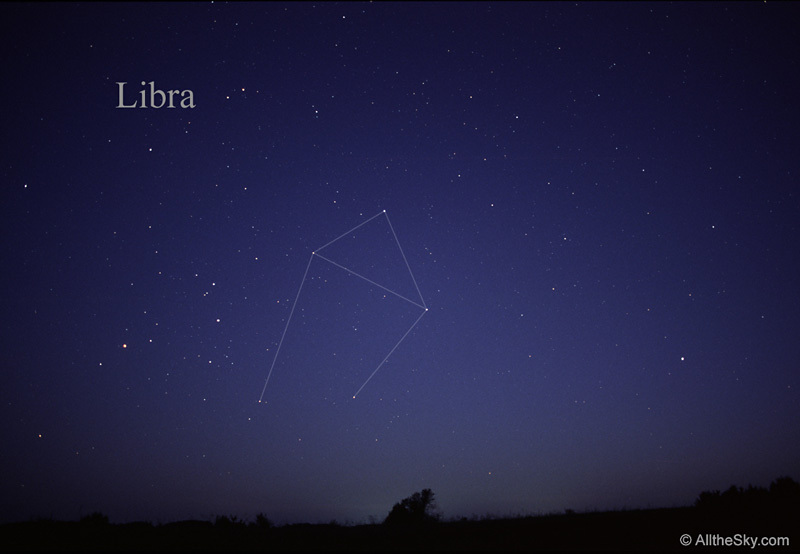 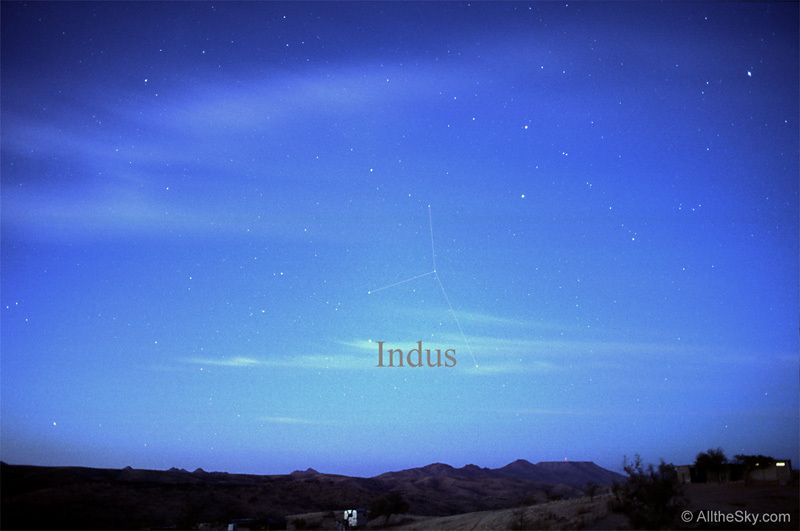 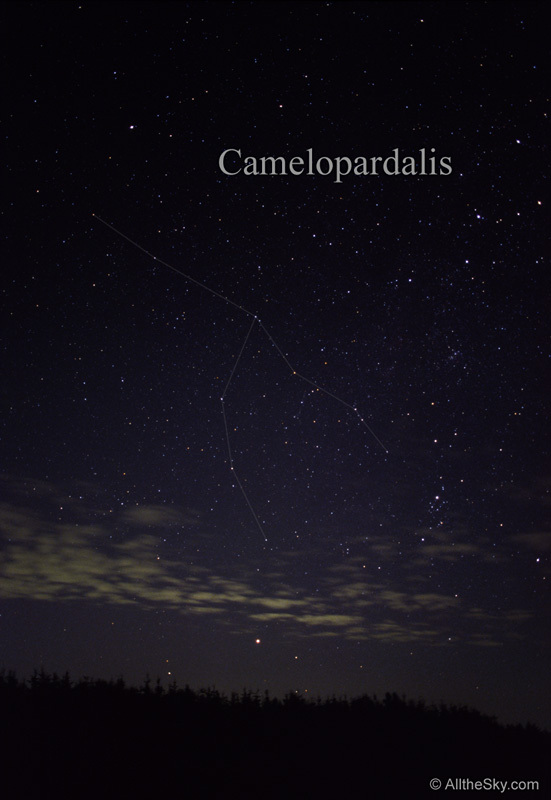 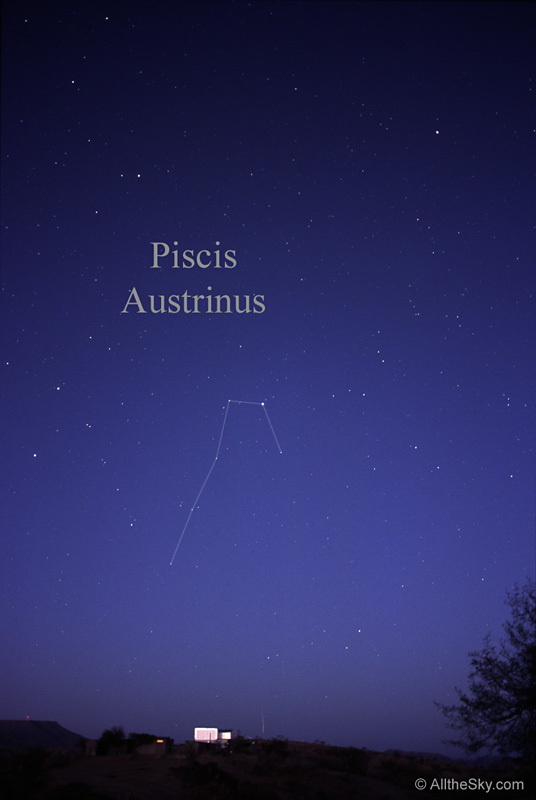 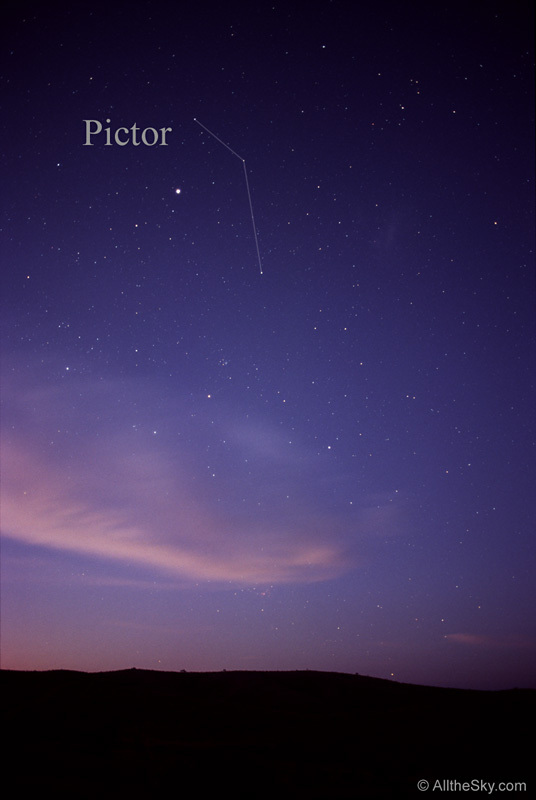 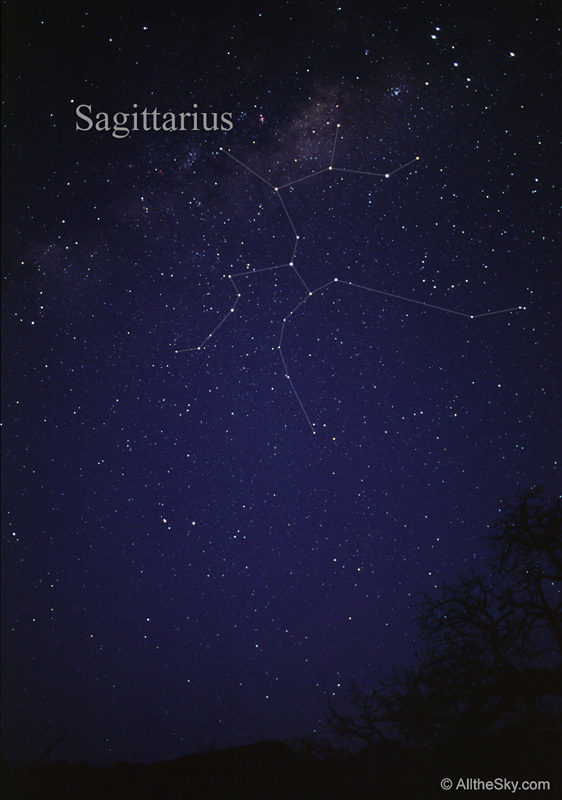 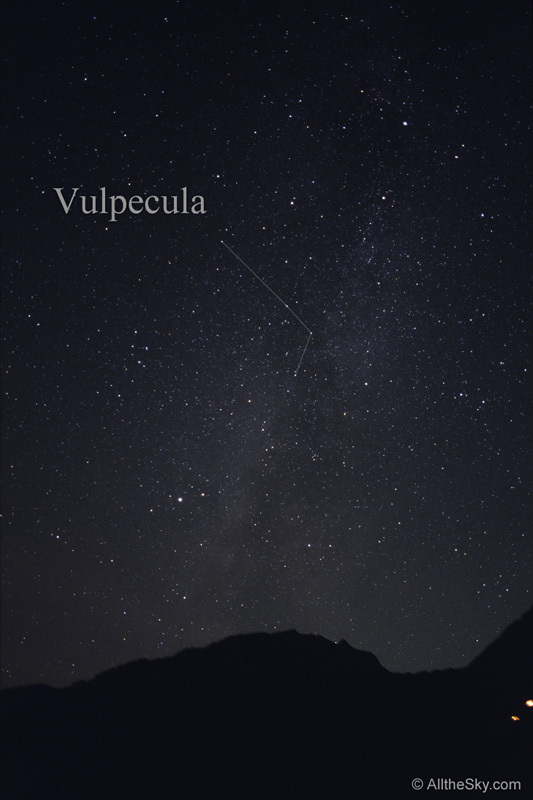 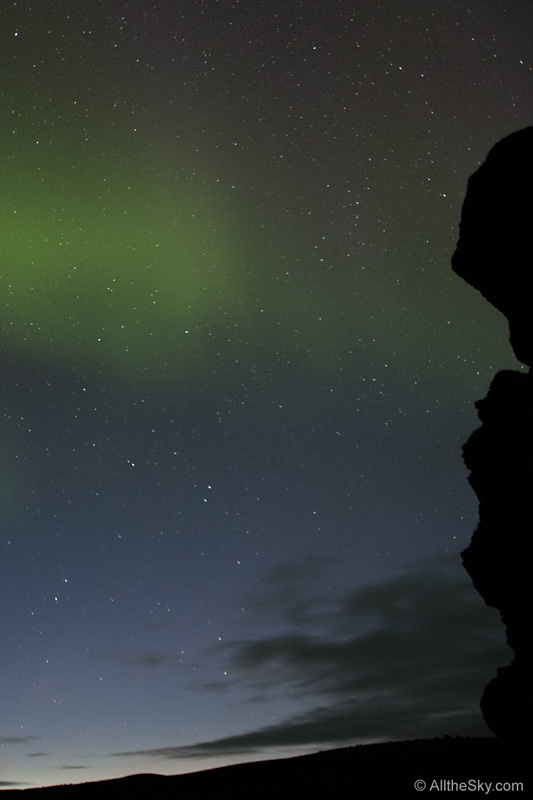 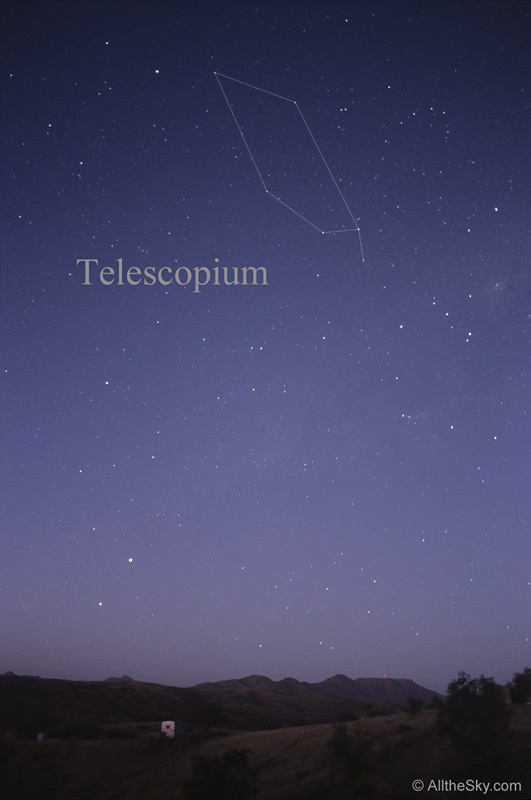 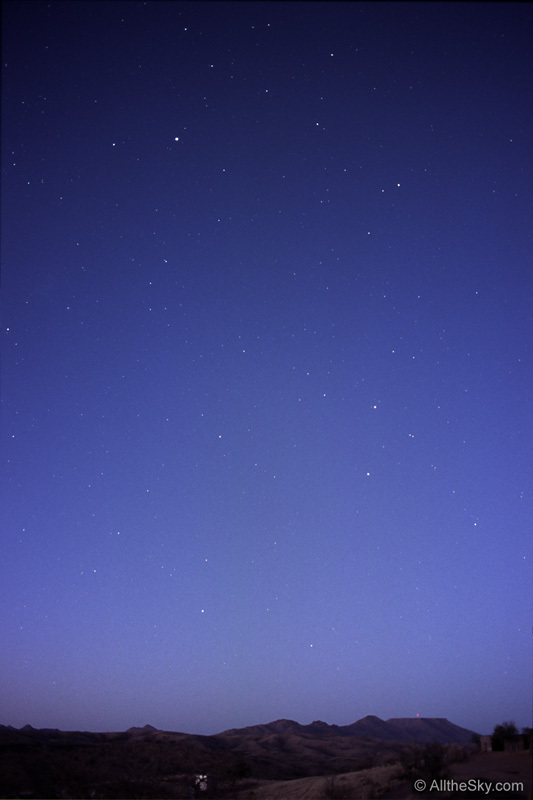 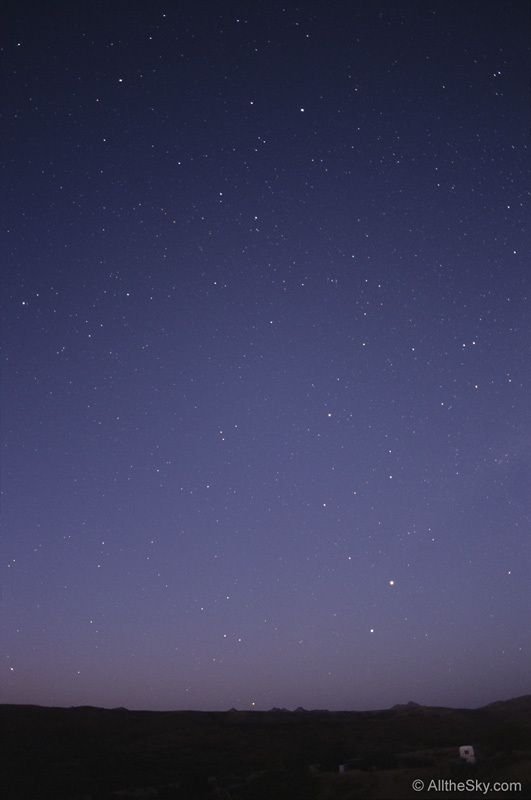 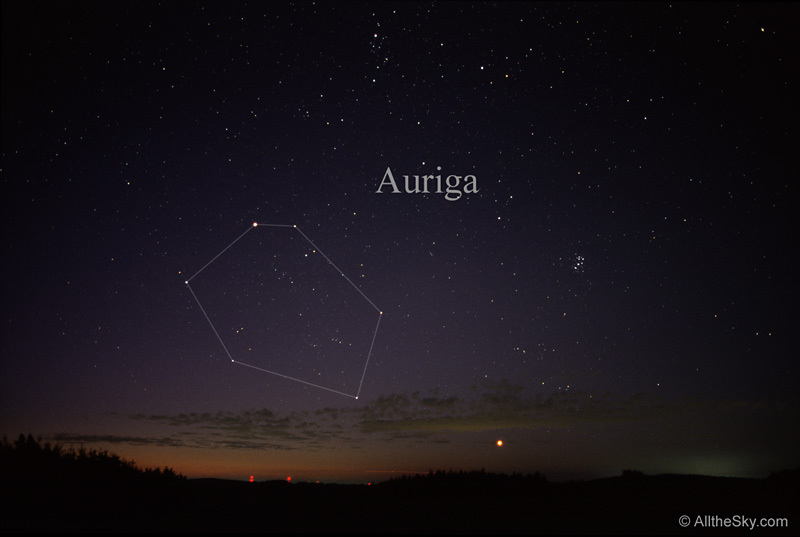 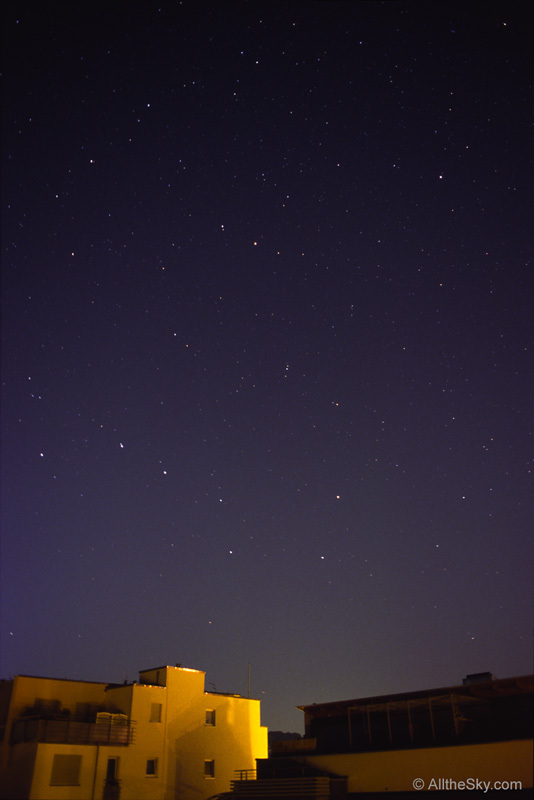 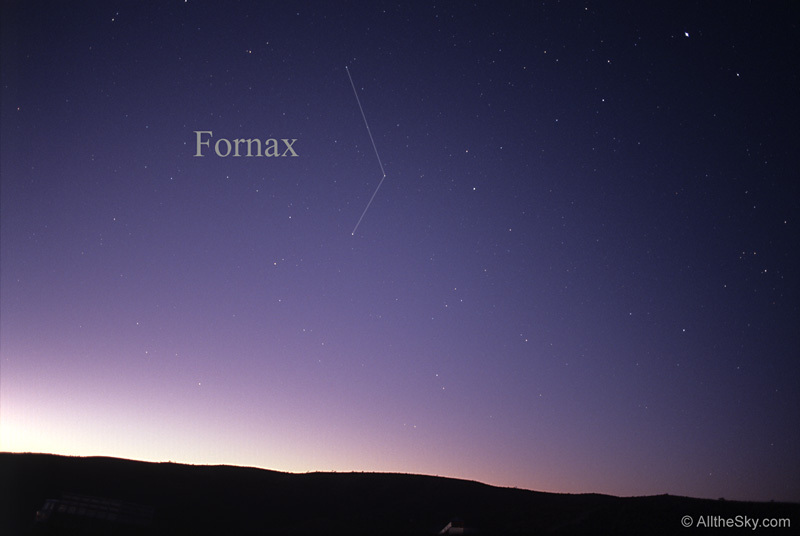 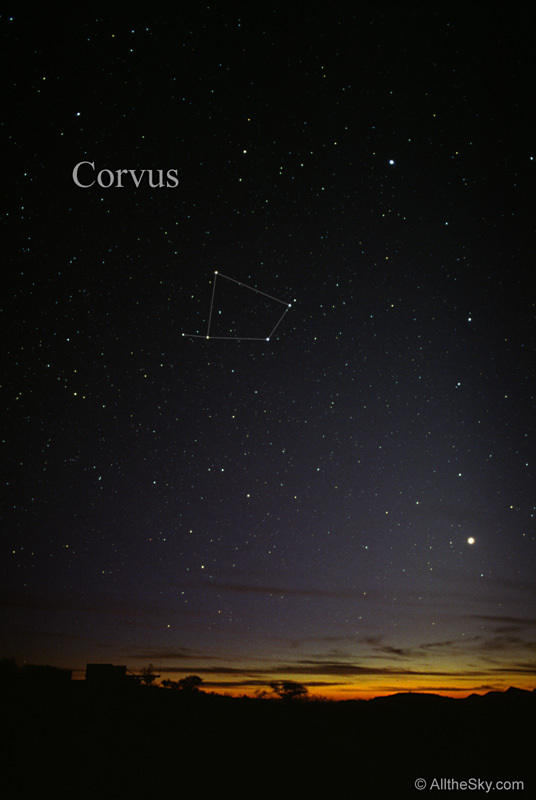 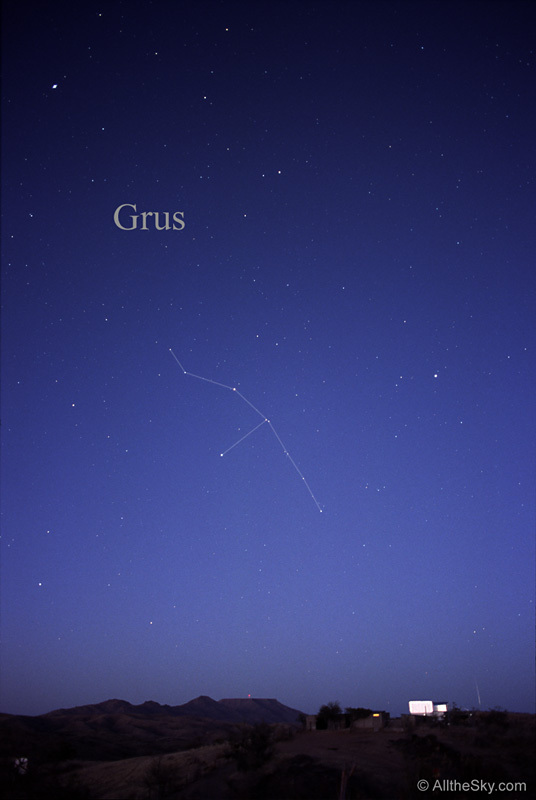 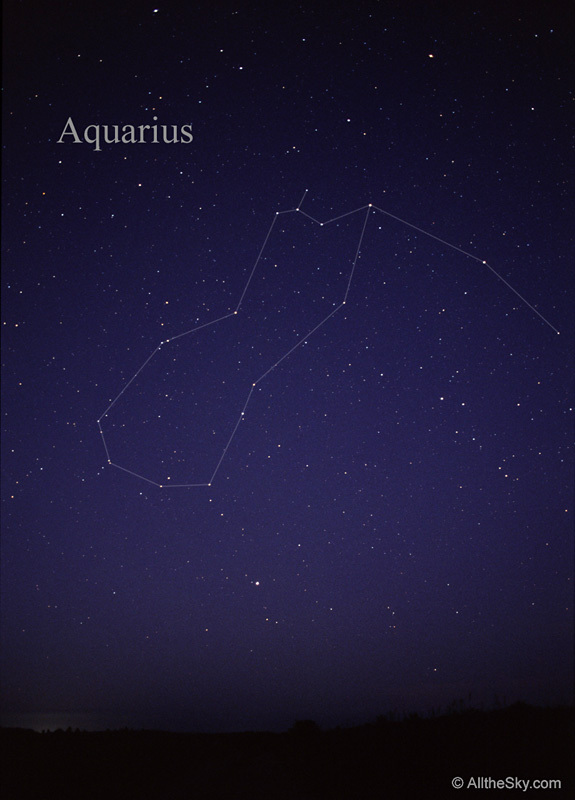 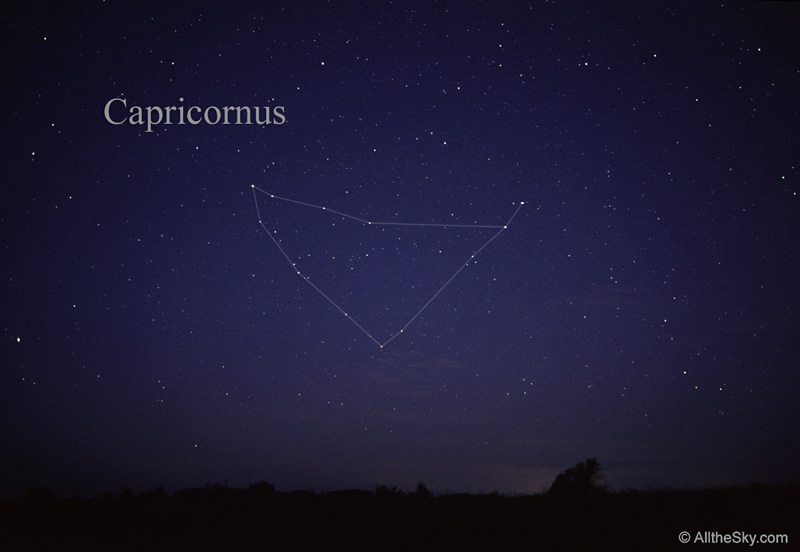 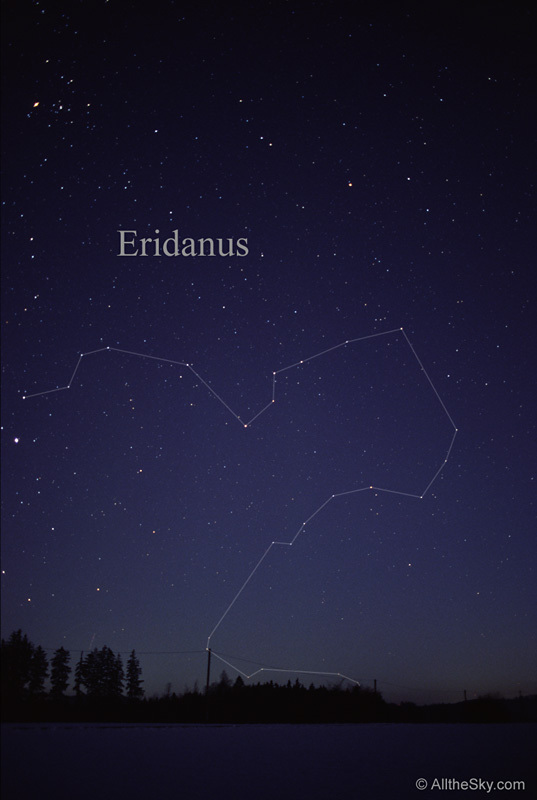 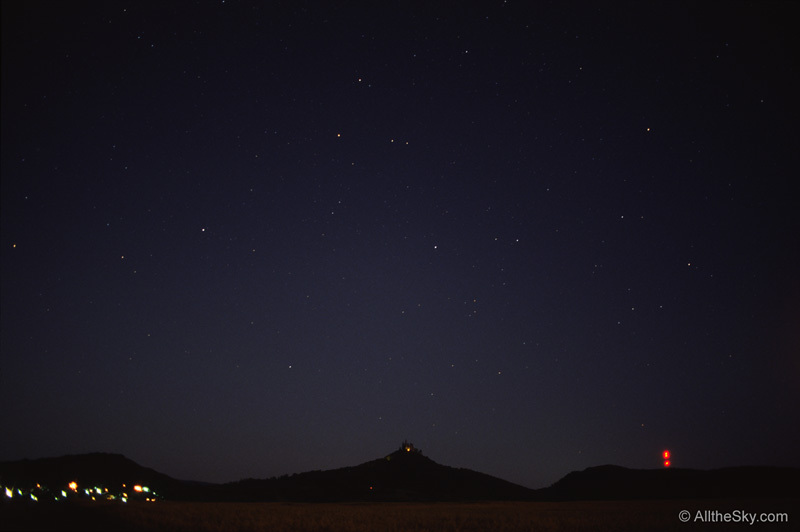 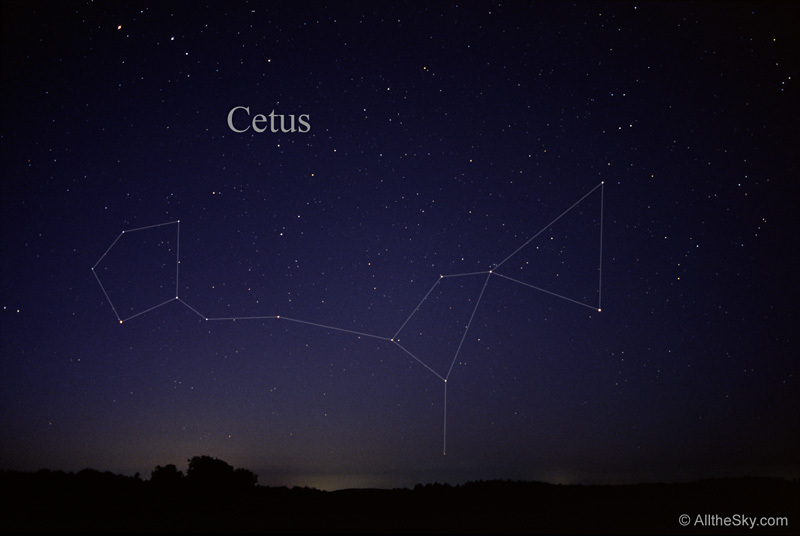 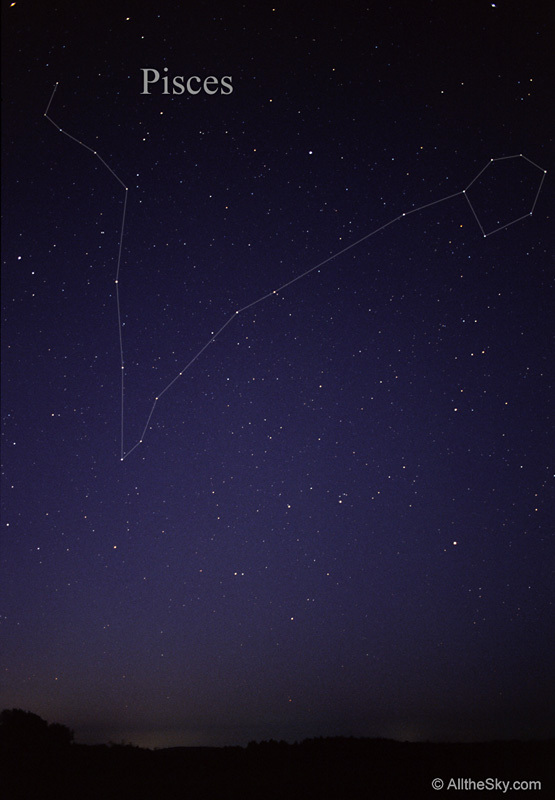 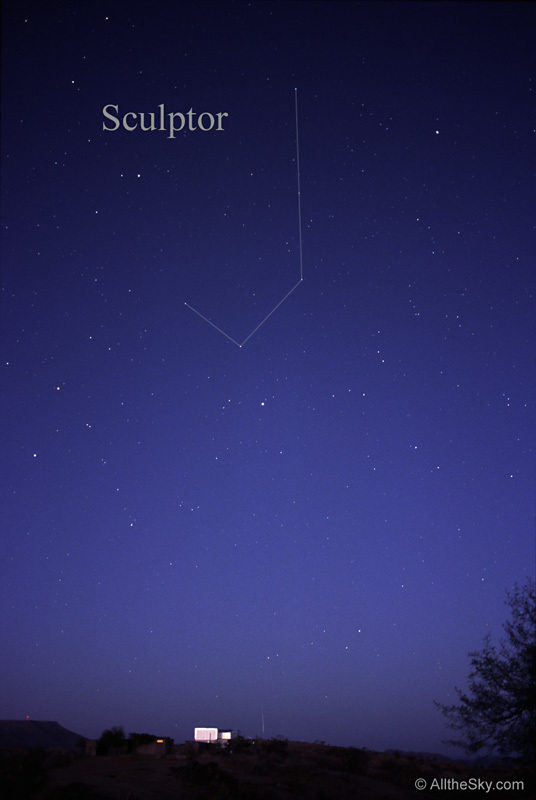 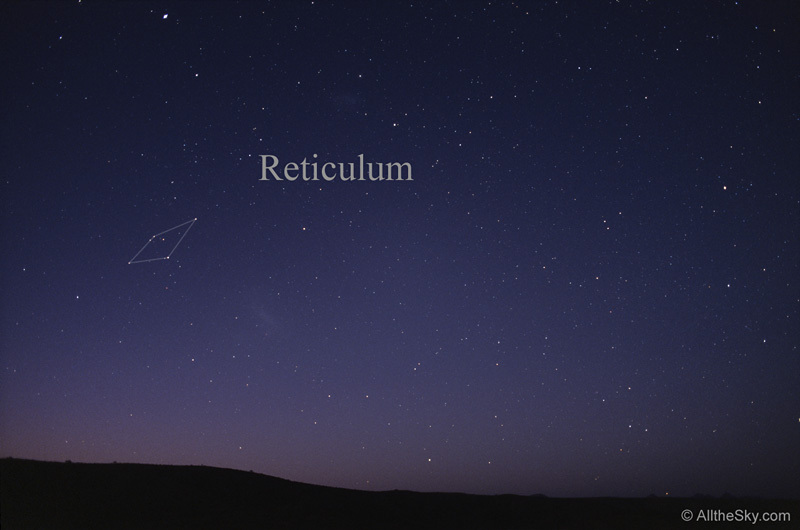 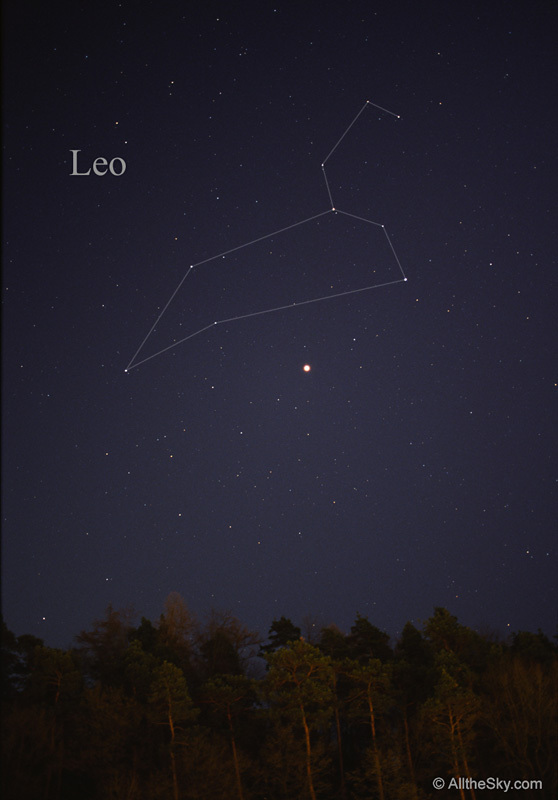 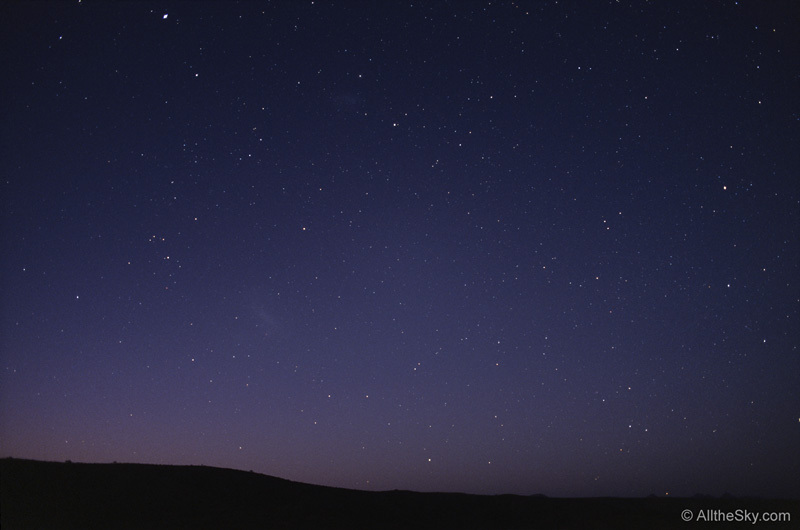 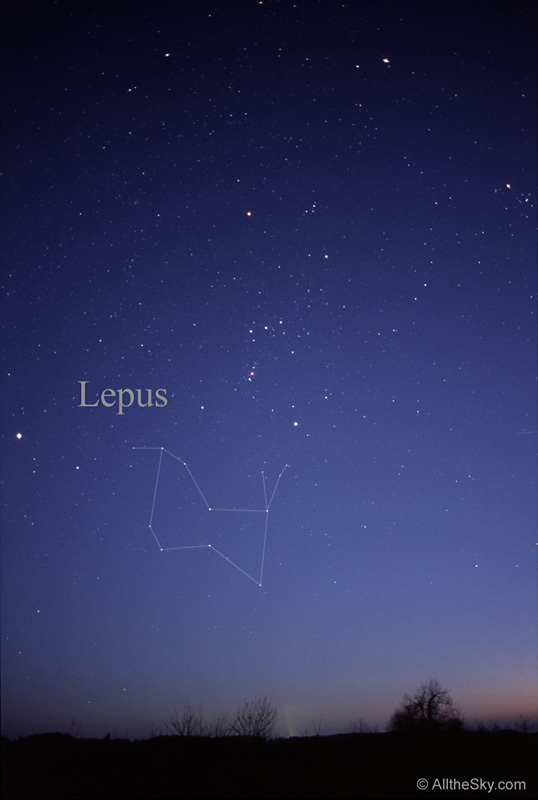 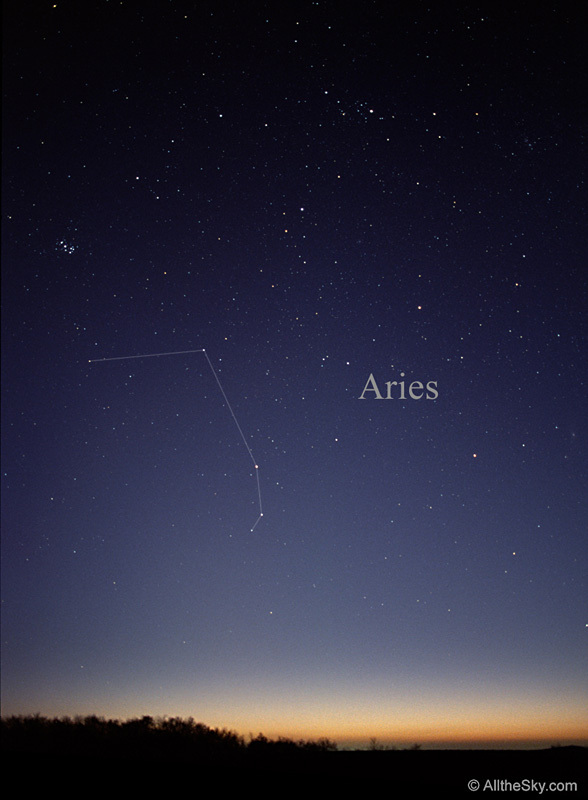 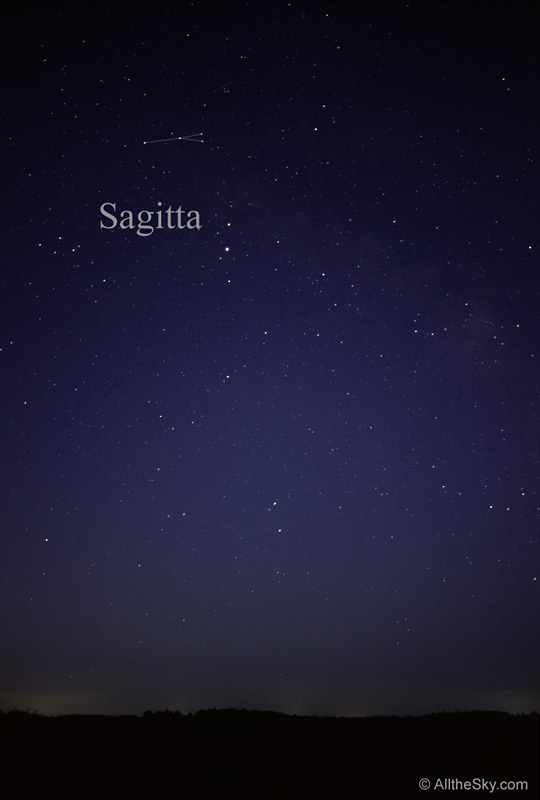 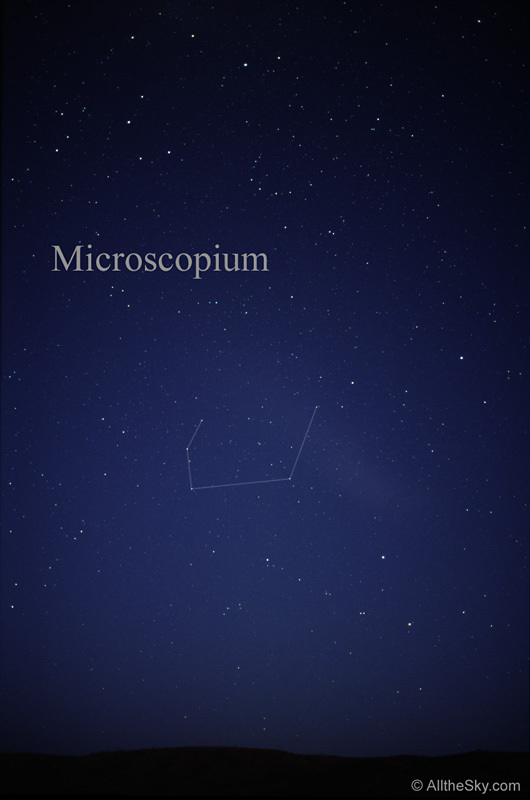 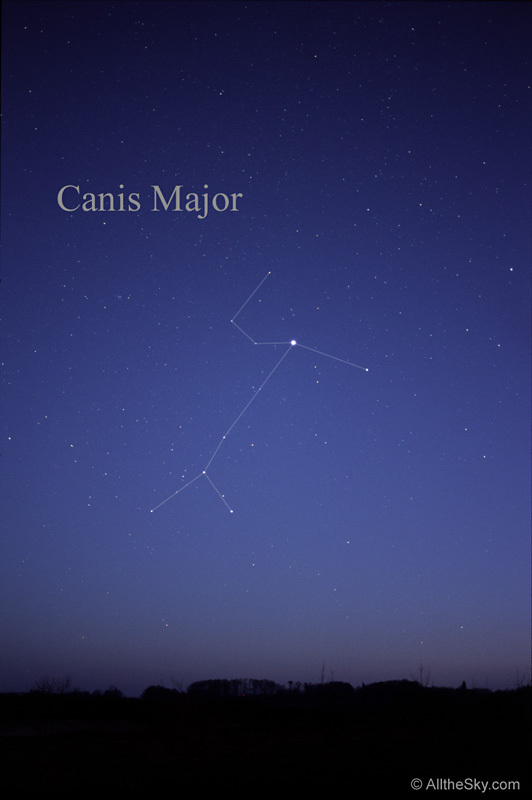 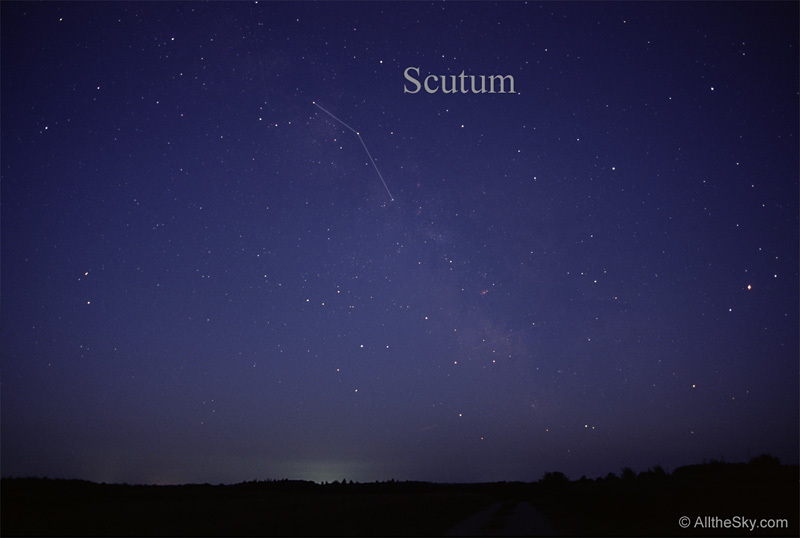 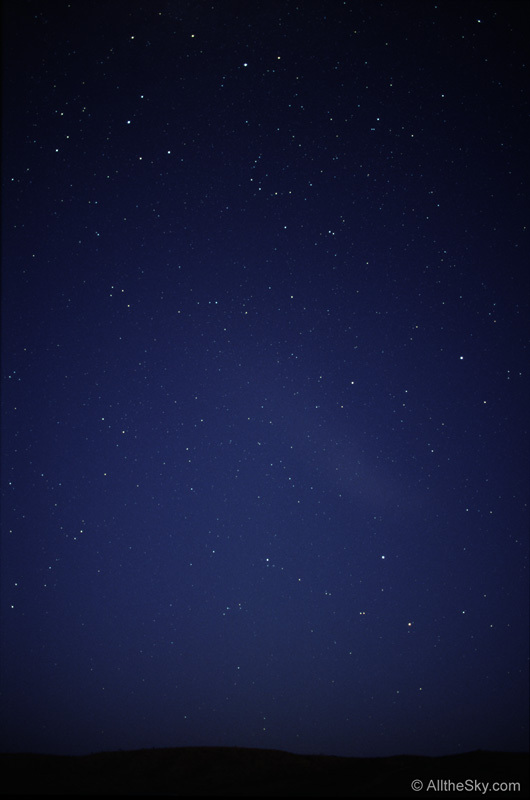 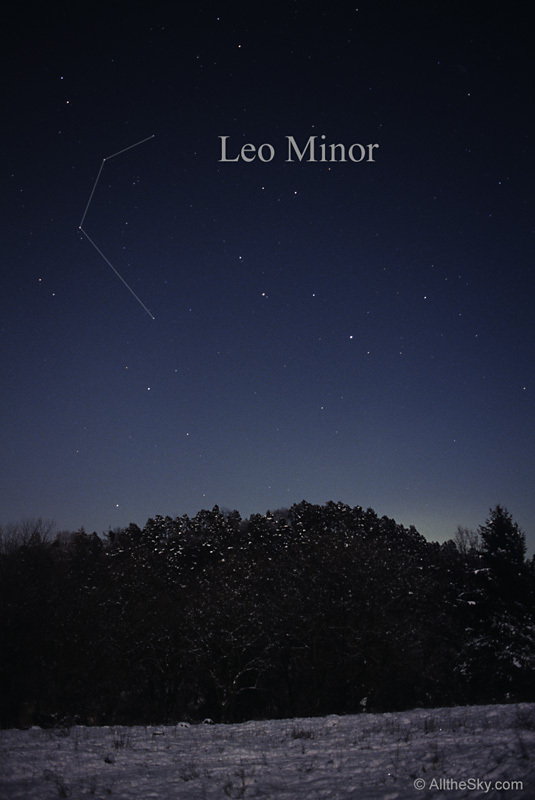 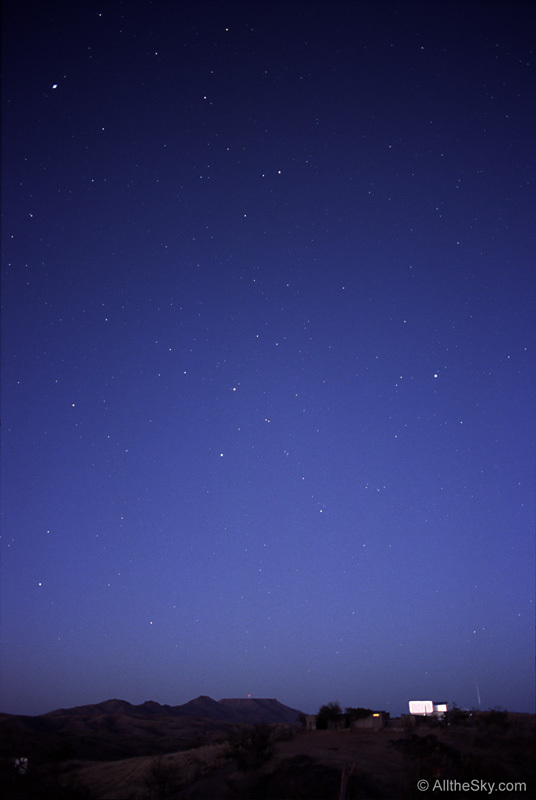 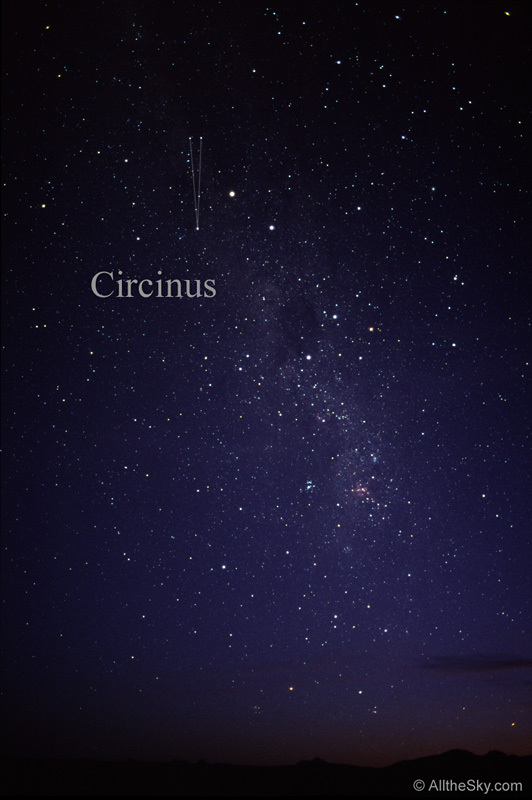 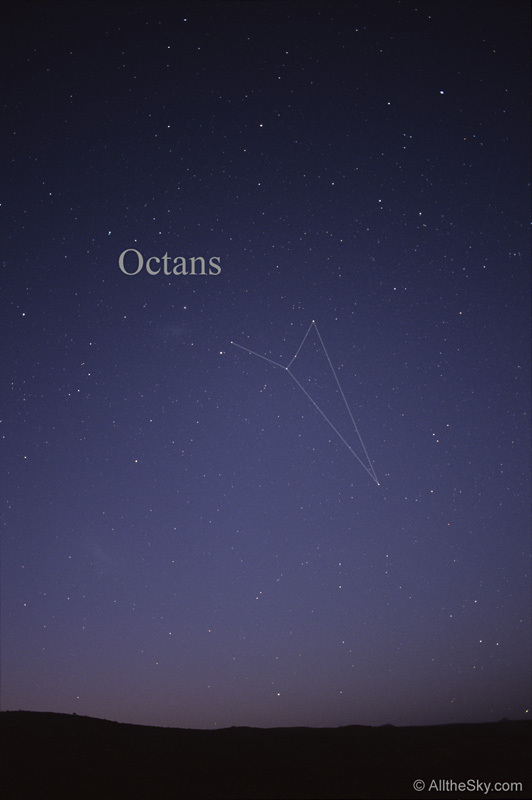 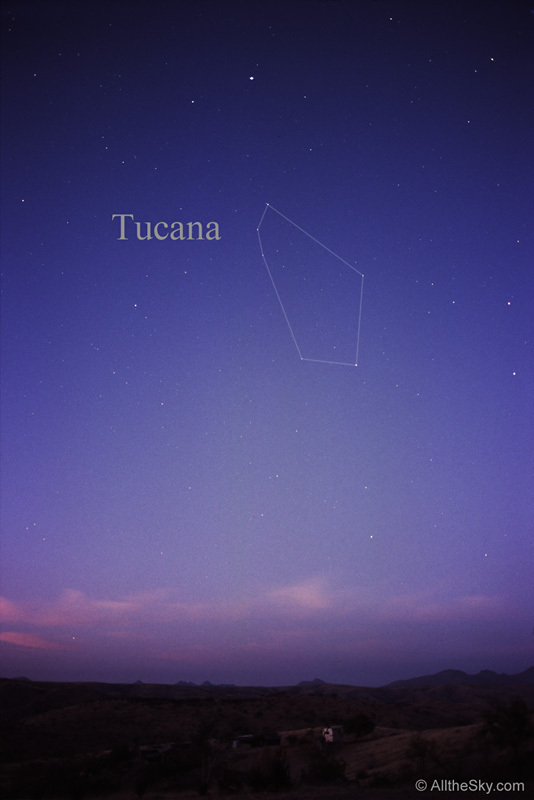 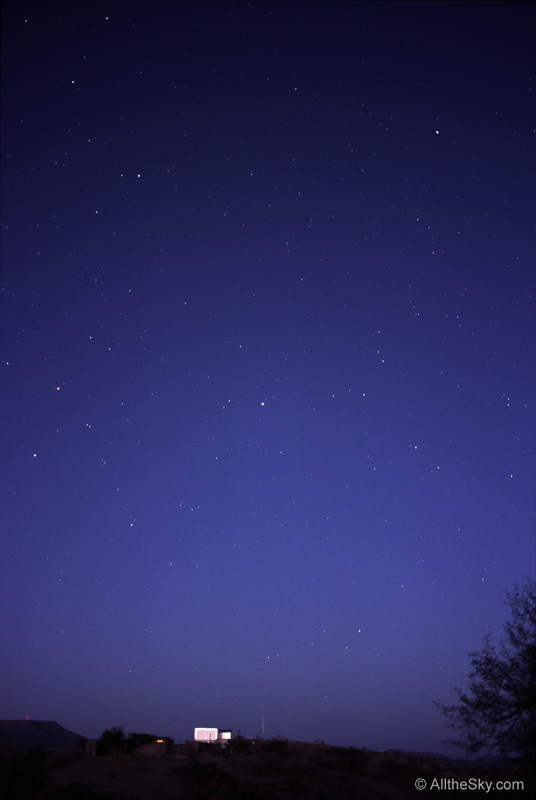 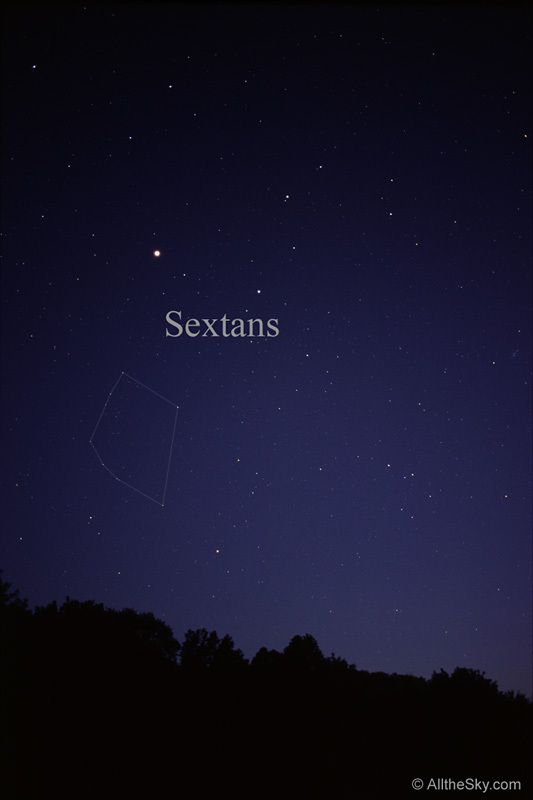 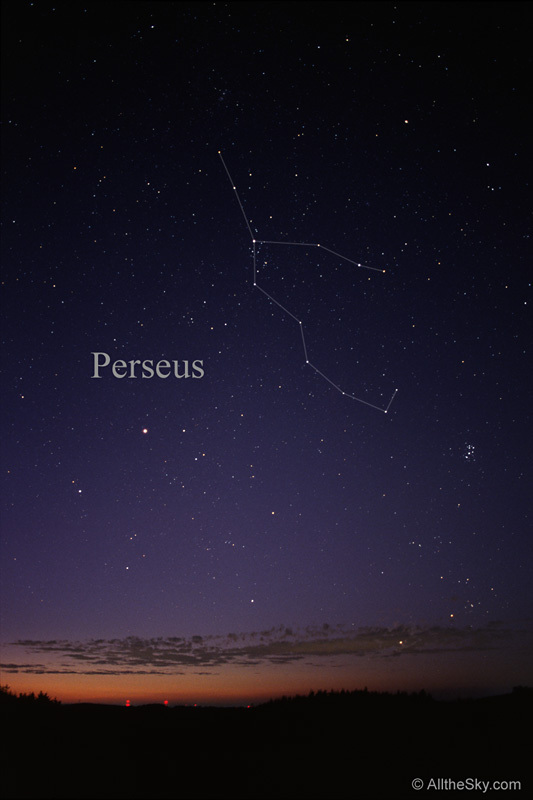 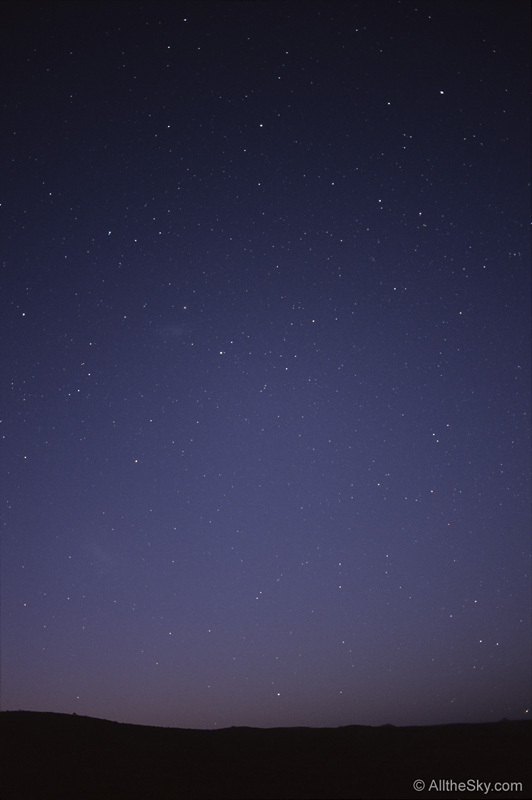 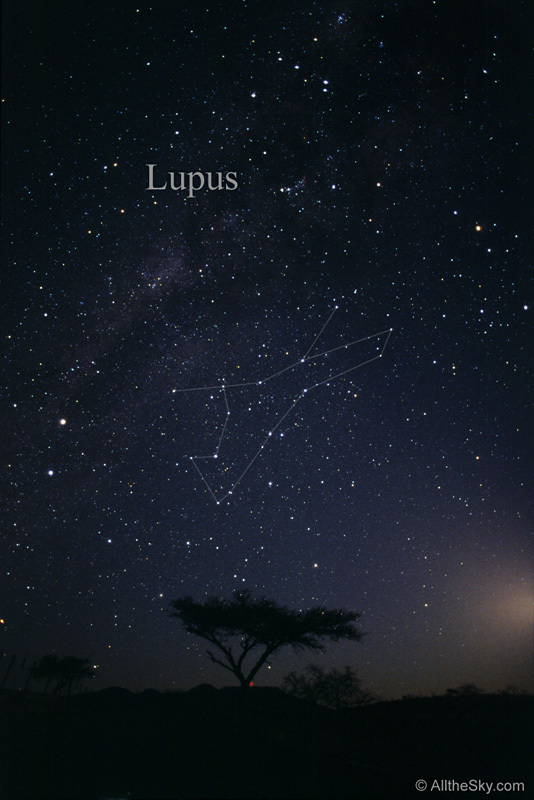 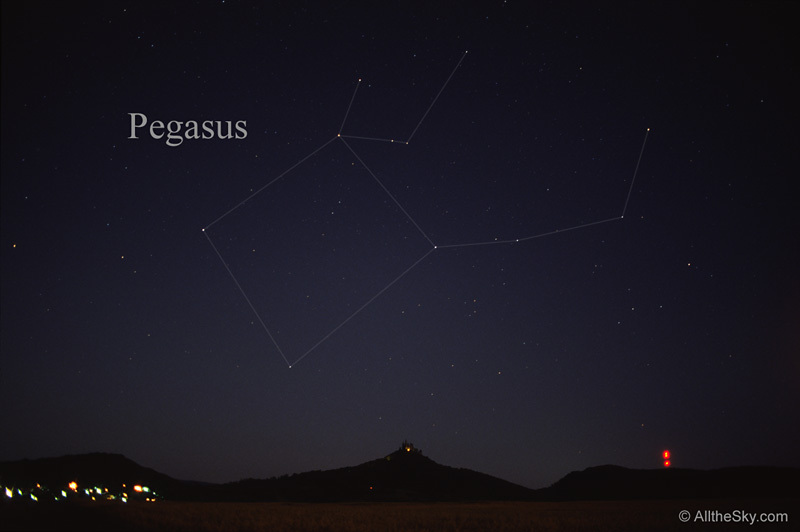 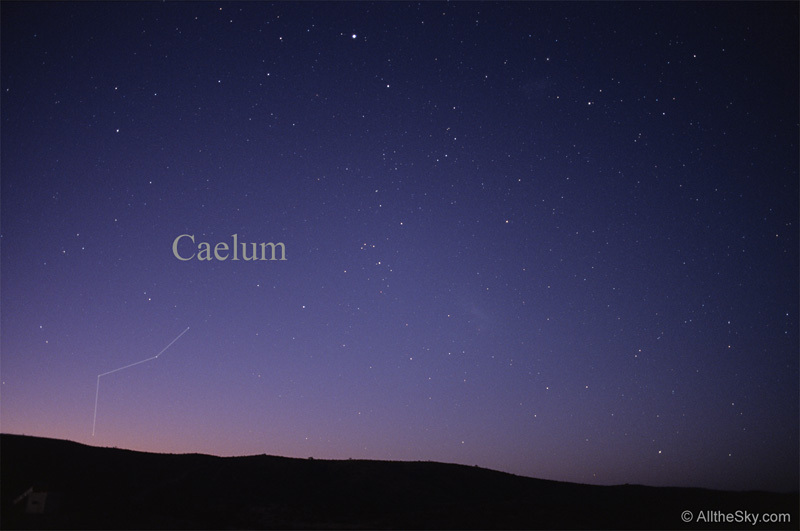 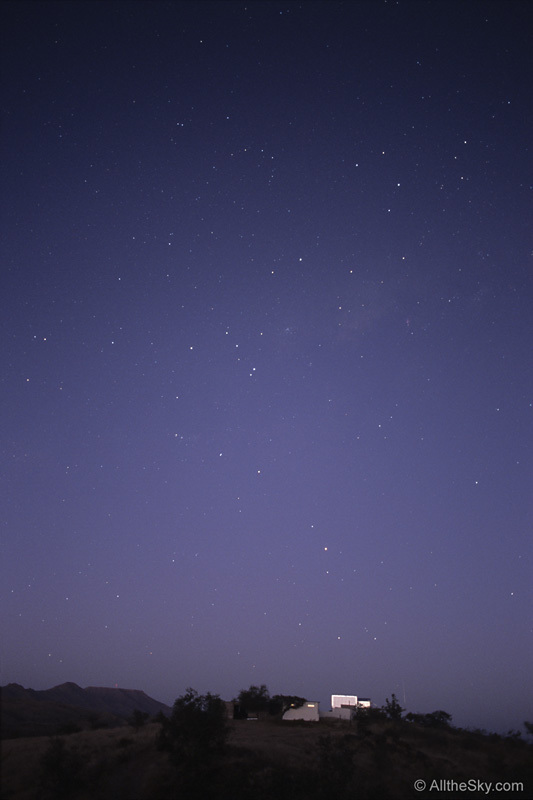 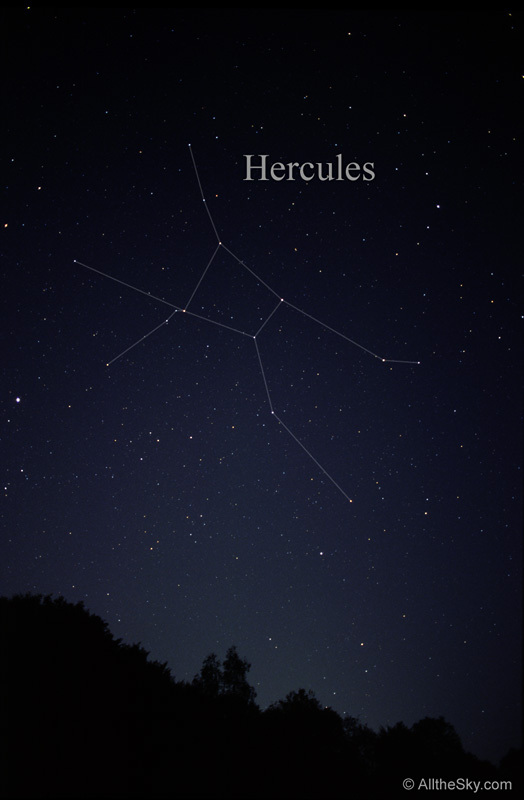 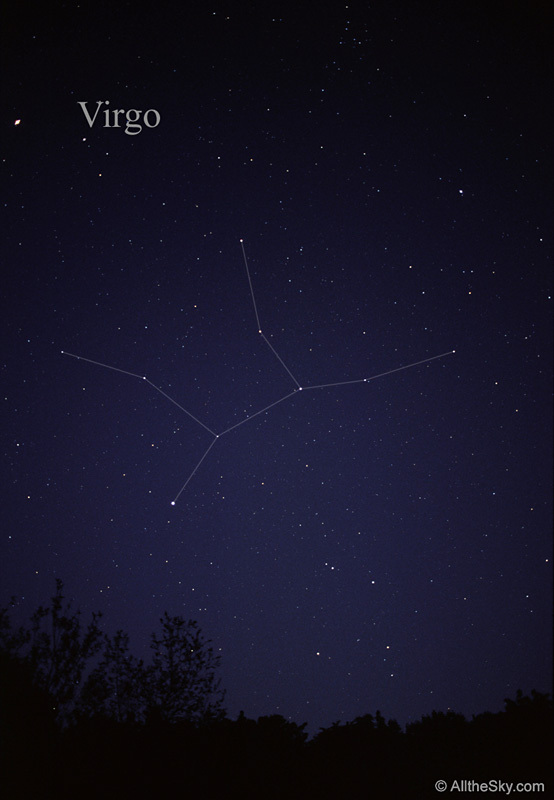 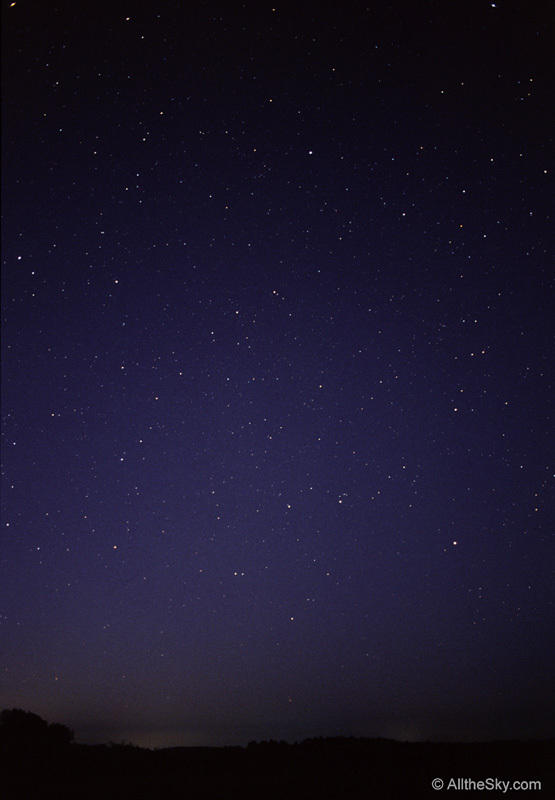 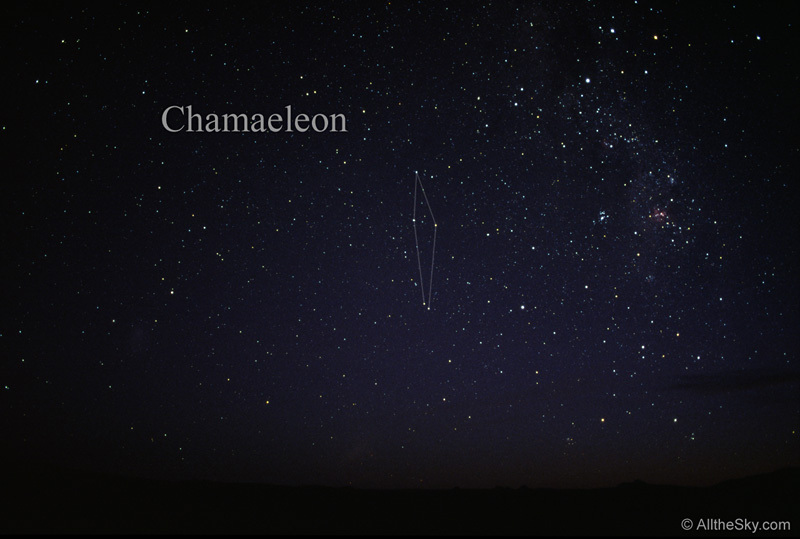 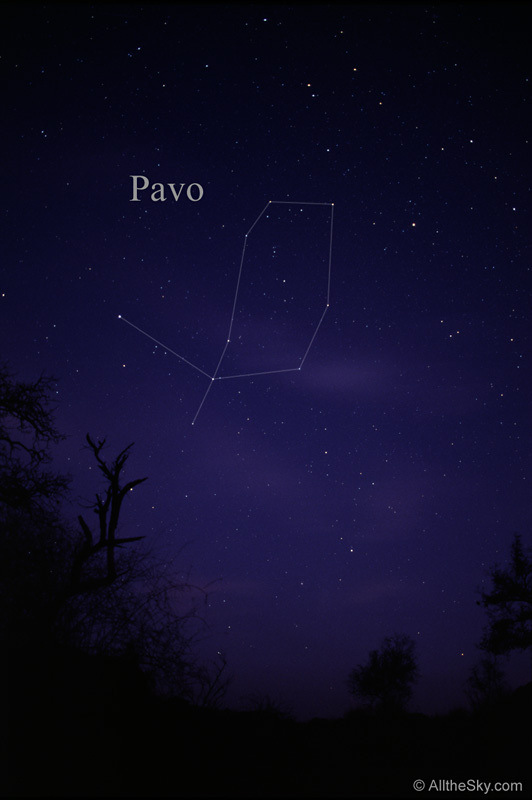 Usually more than one constellation appears in an image, but just one constellation is highlighted. 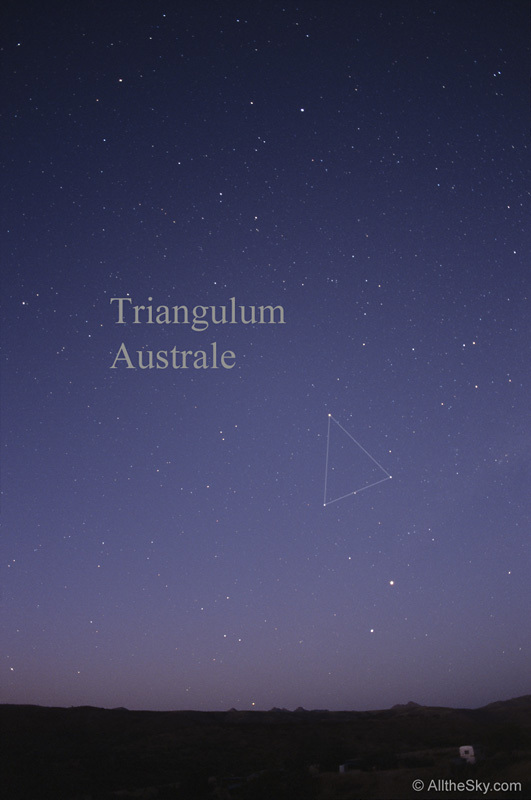 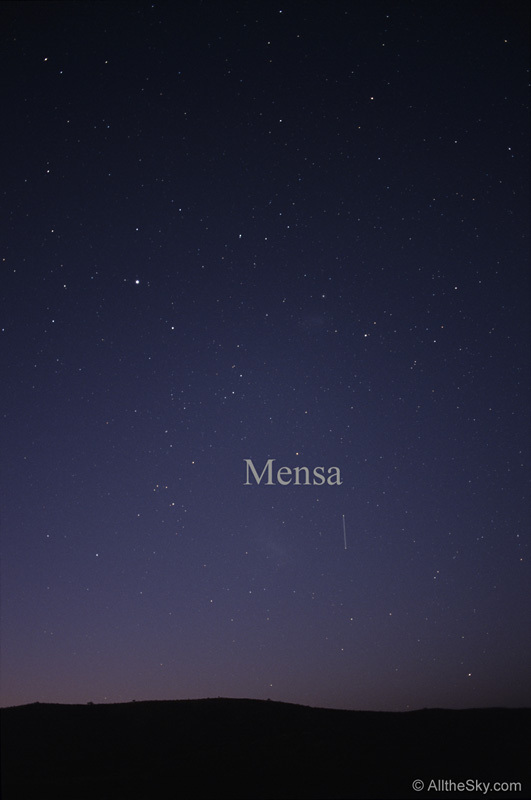 The constellations have very different sizes in the sky. 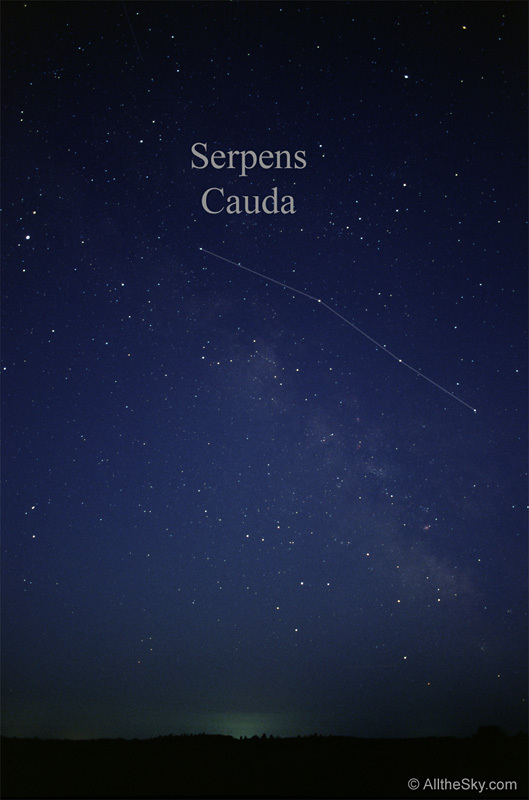 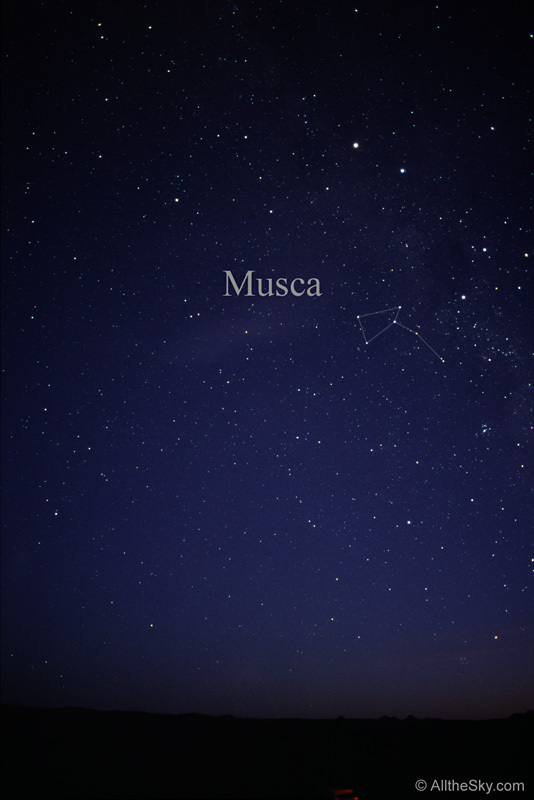 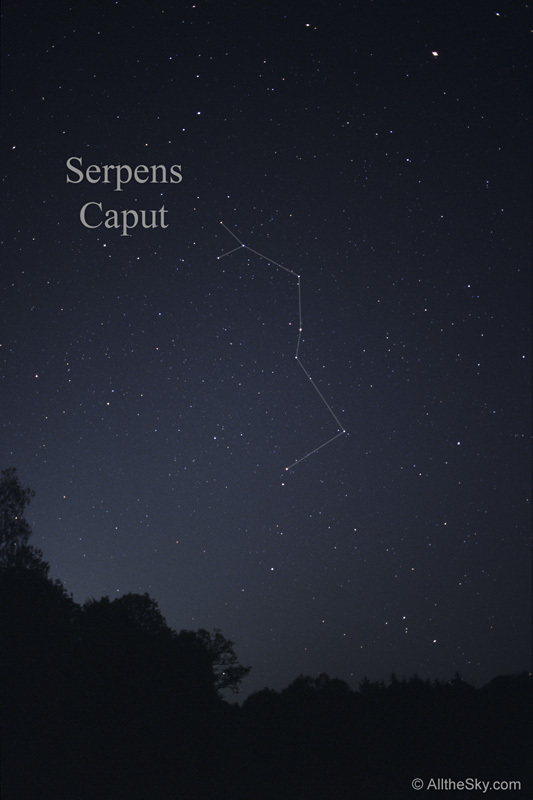 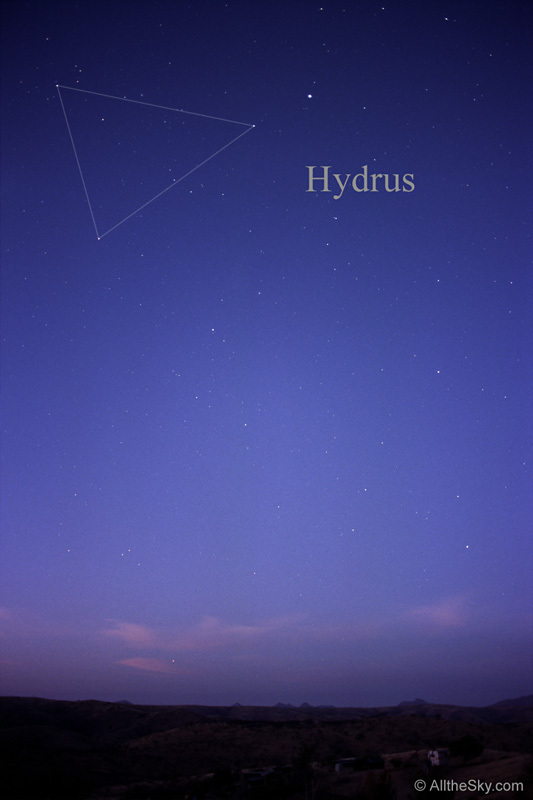 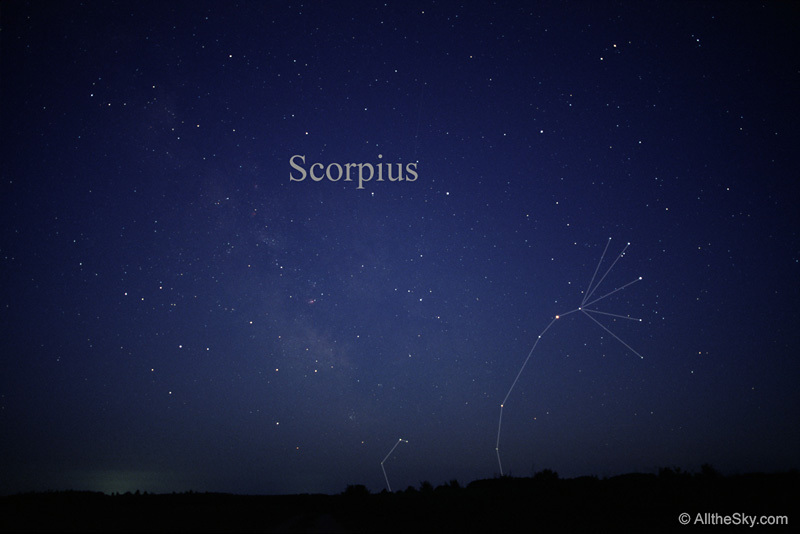 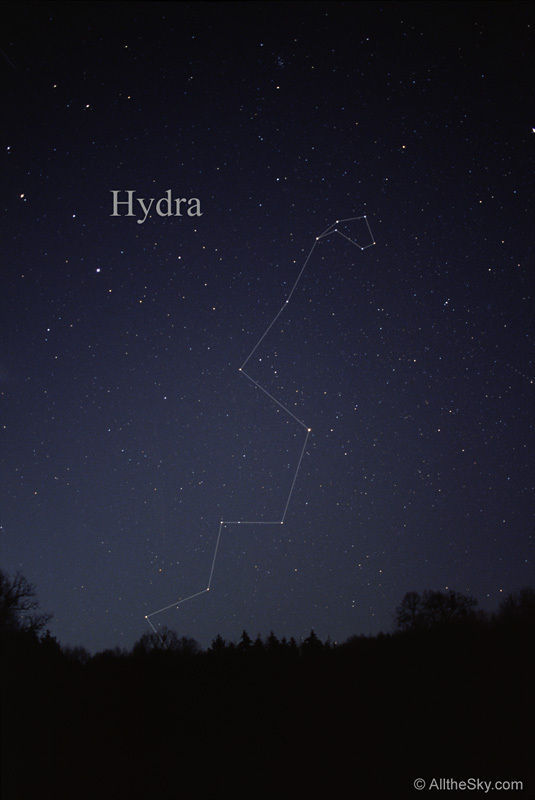 Hydra spans a third of the sky and is much larger than the standard field of view. 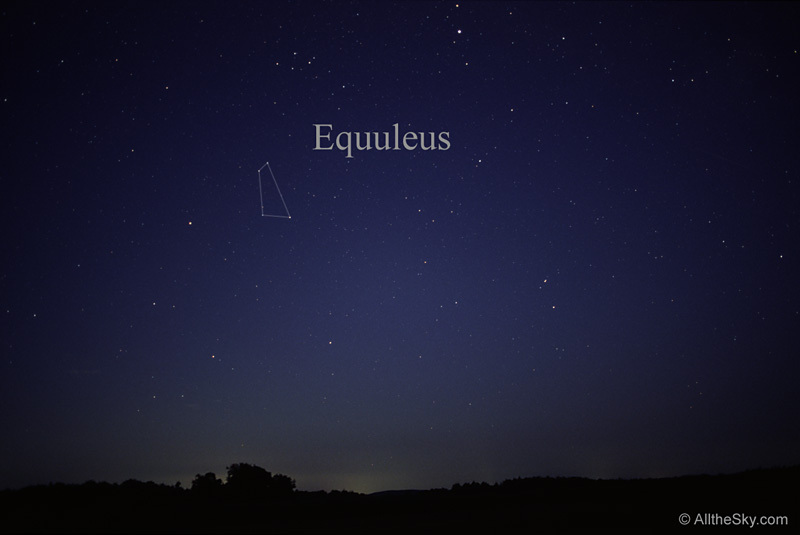 On the other hand is for example Equuleus which appears quite tiny on the photo. 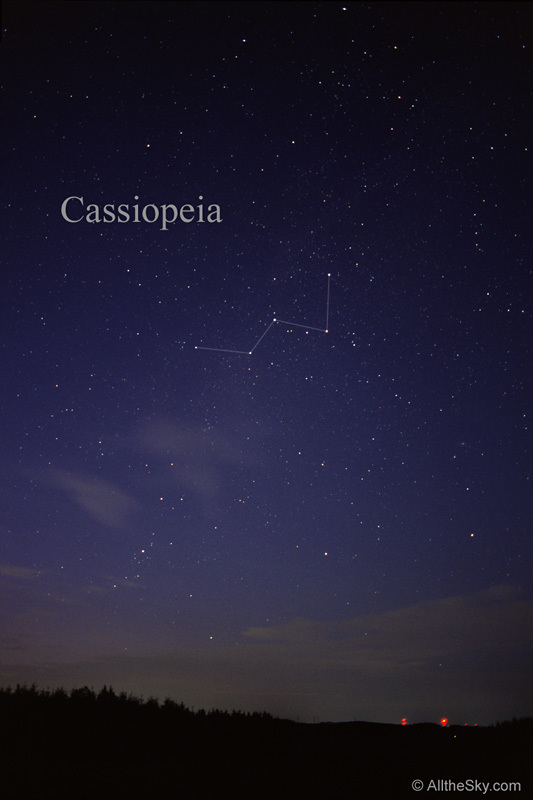 The 88 constellations are complete now.